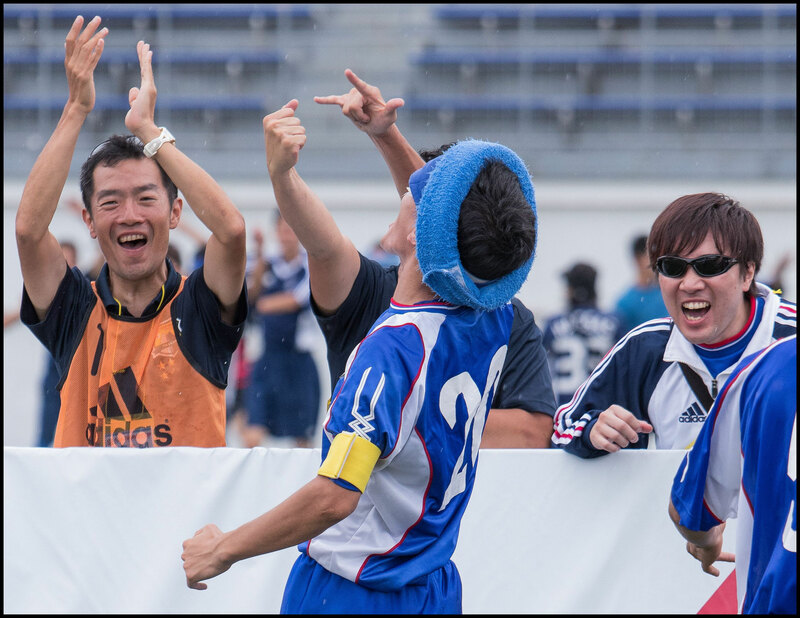 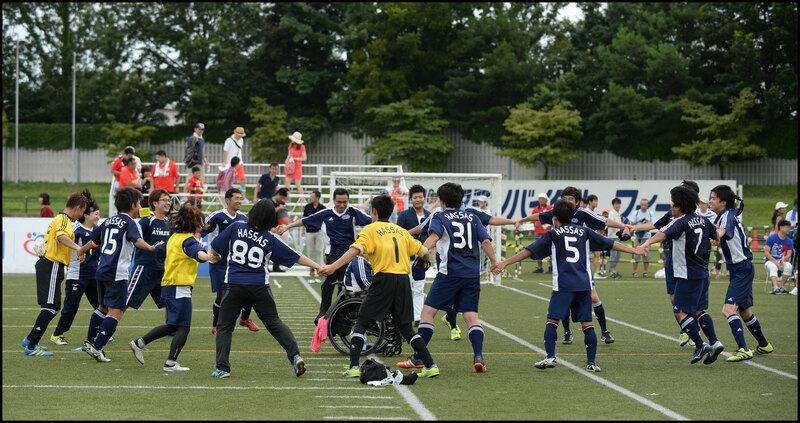 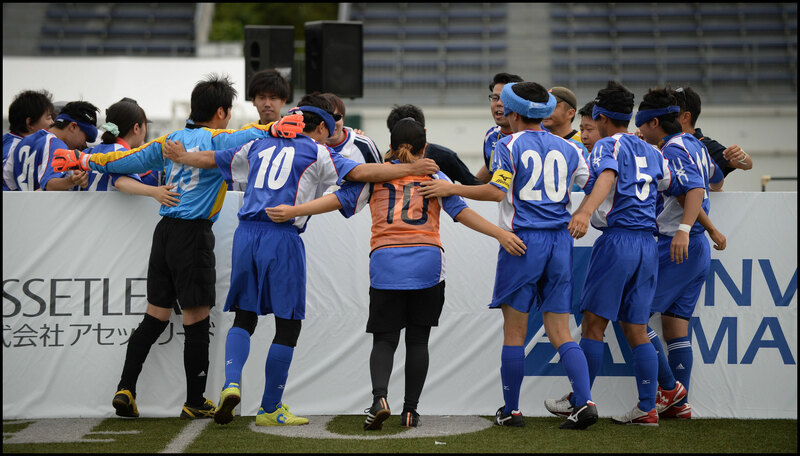 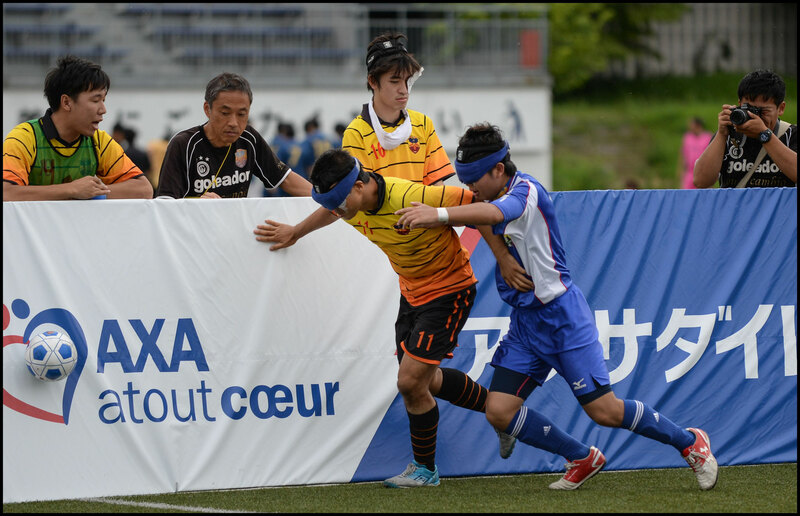 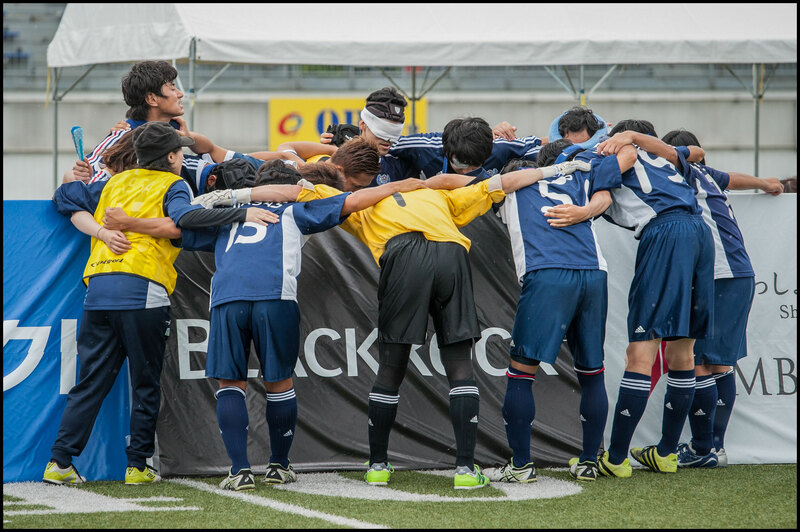 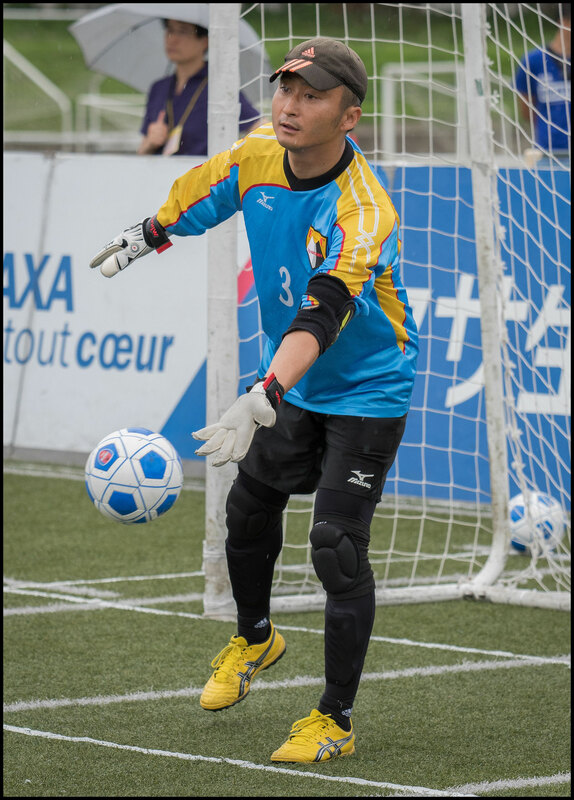 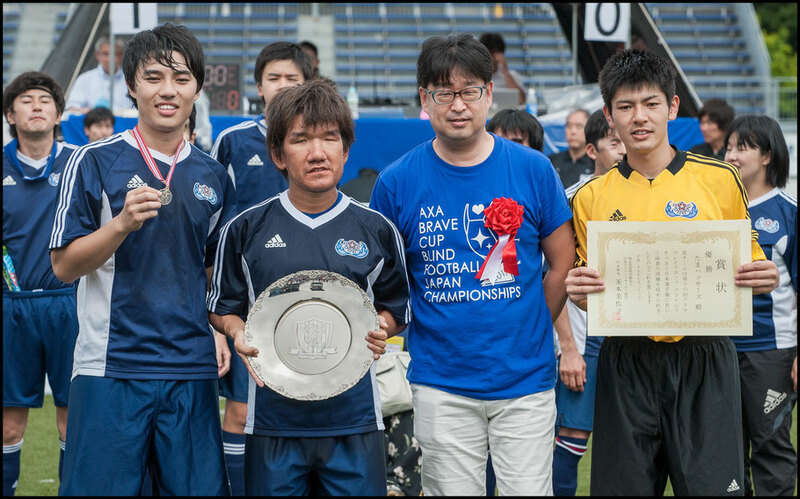 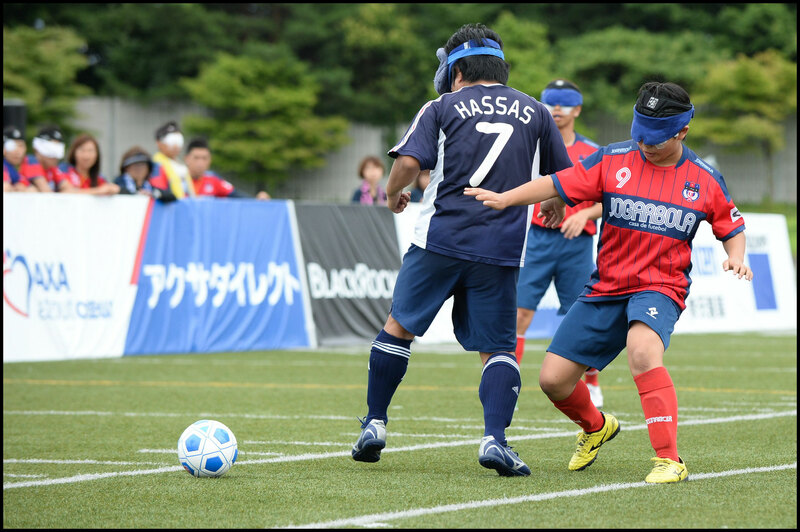 Tama Hassas were crowned Japan’s top blind soccer club on Sunday afternoon, defeating Saitama T.Wings 1-0 in an exciting climax to the 2017 AXA Brave Cup. 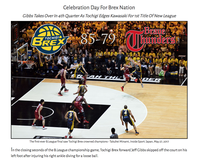 A lively crowd at Amino Vital Field, braving occasional rainy weather saw not only the final, but the earlier third place match between Avanzare Tsukuba and Buen Cambio Yokohama. 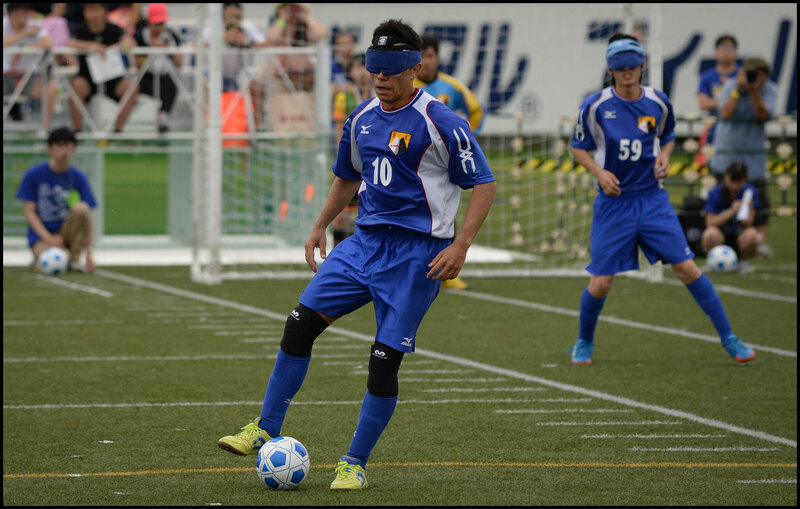 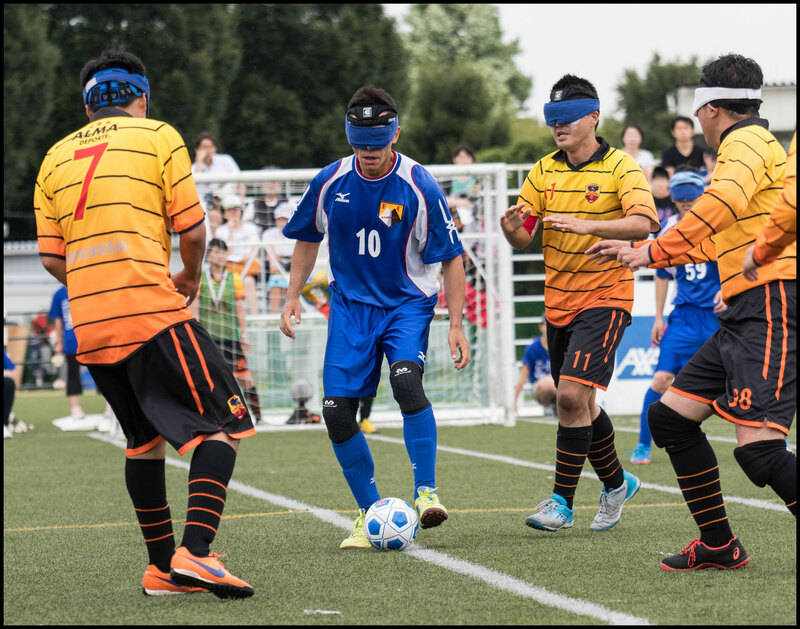 For the uninitiated, blind soccer is a modified version of the beautiful game enjoyed by athletes with visual disabilities. 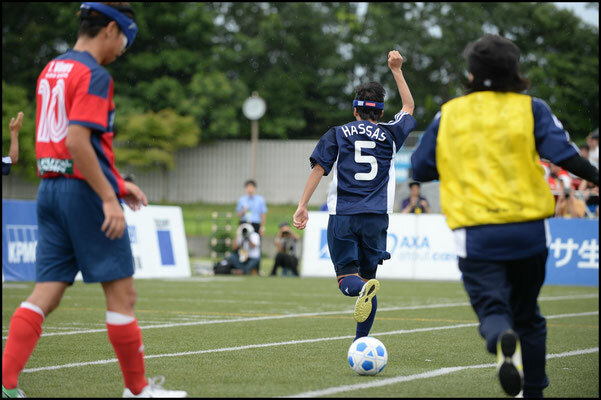 The five-on-five contest takes place on a futsal-sized pitch, with boards along the sidelines and a regulation futsal ball with noisemakers that ring when kicked. 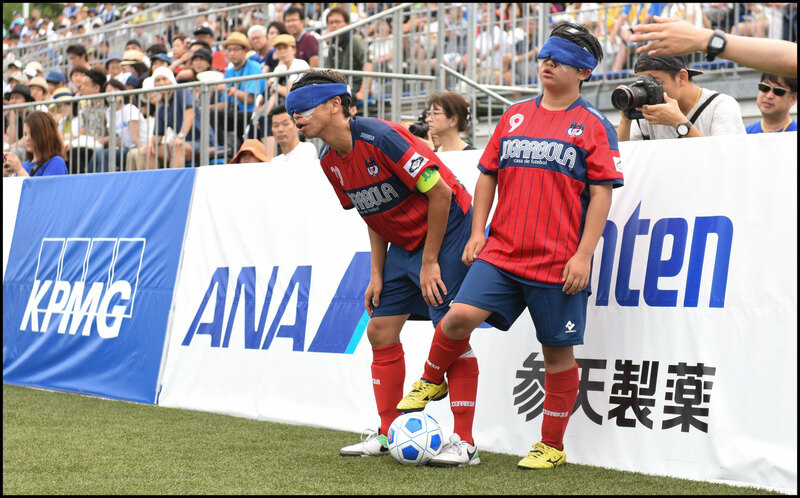 Outfield players, who all wear blindfolds to account for disparities in vision, are guided by the sound of the ball and the frequent shouts of their teammates and opponents. Many also choose to wear protective headgear, as scuffles for possession along the boards can be as intense as those seen in any ice hockey match. 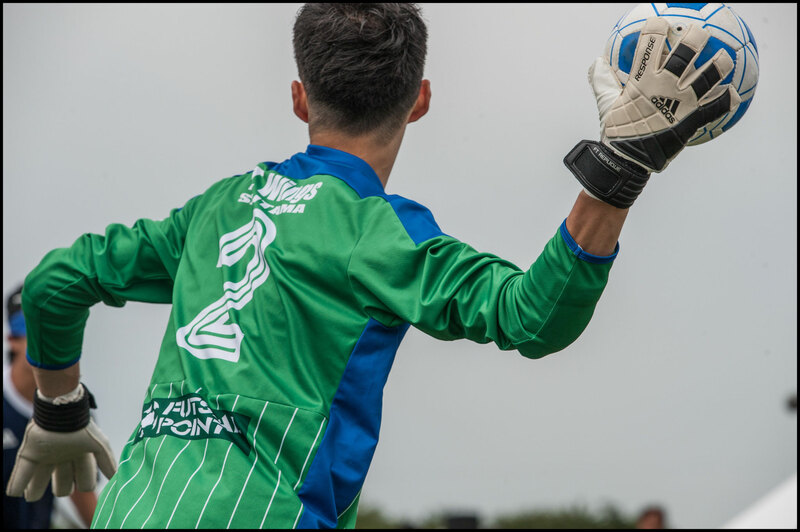 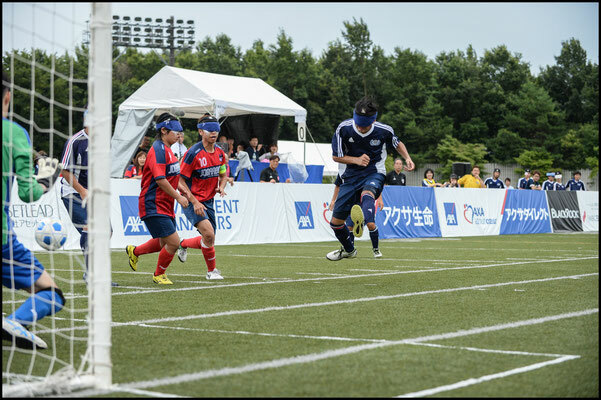 Sighted goalkeepers must remain in a small square around the goal area, while assistants behind the goals shout guidance to attacking players, tapping each goalpost before free kicks and penalty kicks to indicate their location. 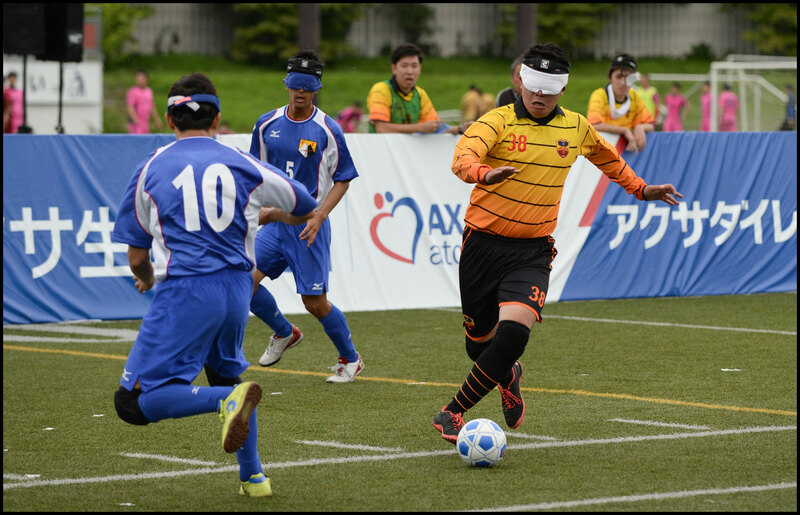 The sport, played over two 20-minute halves after a recent revision of rules by the governing International Blind Sports Association (IBSA), was codified in the early 1980s. 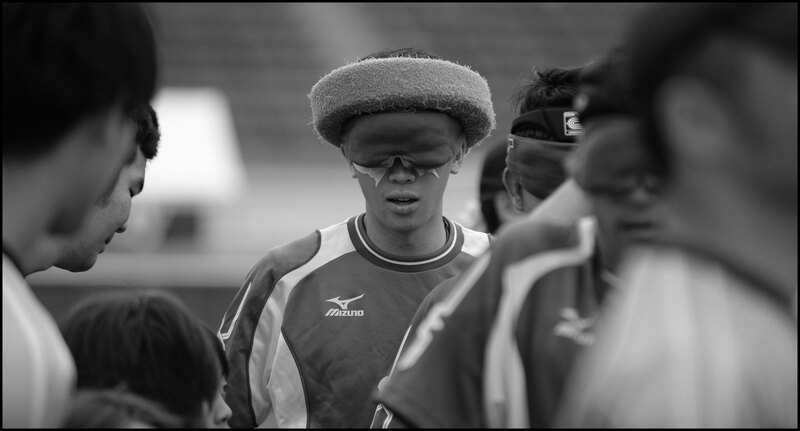 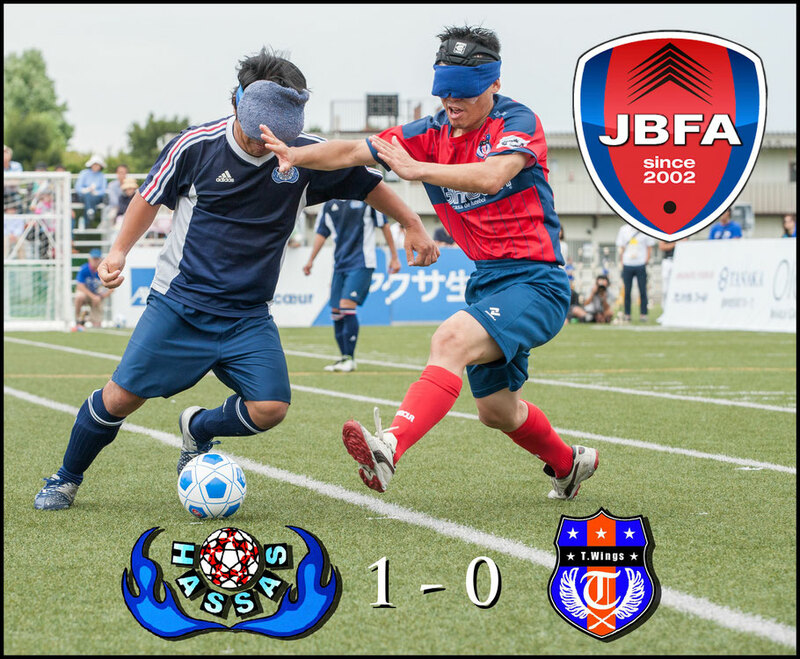 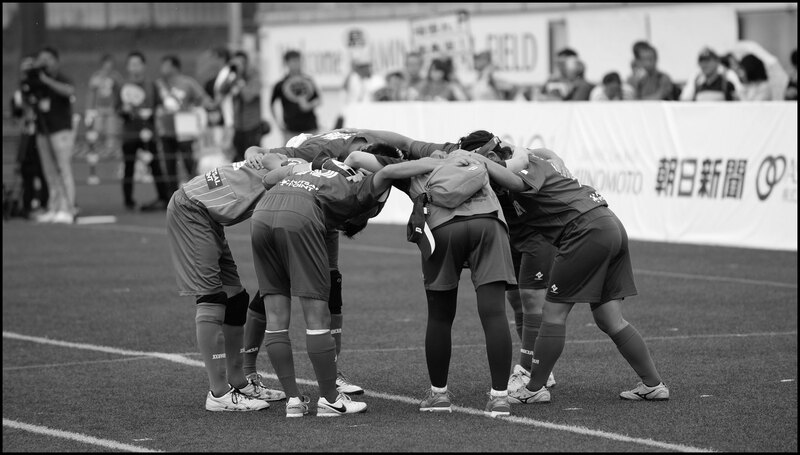 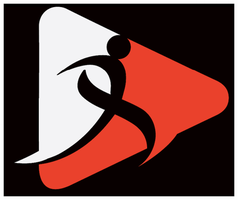 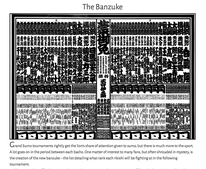 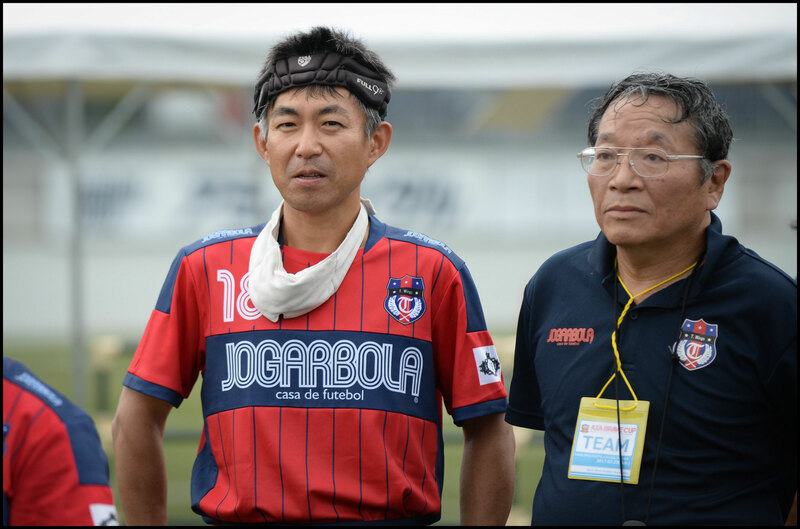 The IBSA’s rules reached Asia via South Korea, and in late 2001 the predecessor of the Japan Blind Football Association (JBFA) was formed. 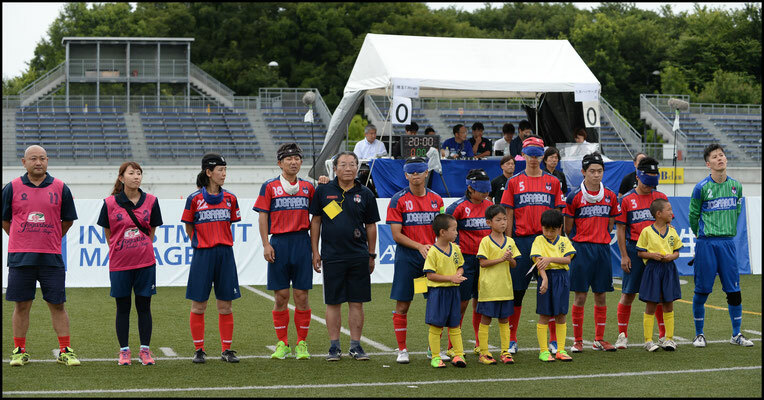 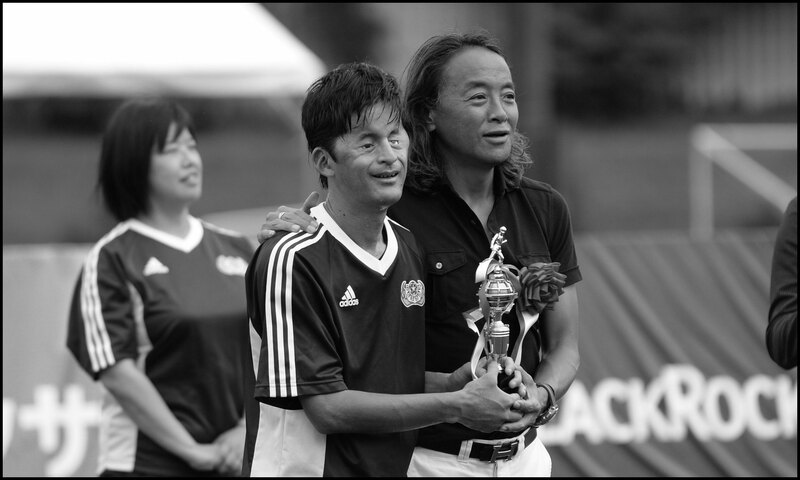 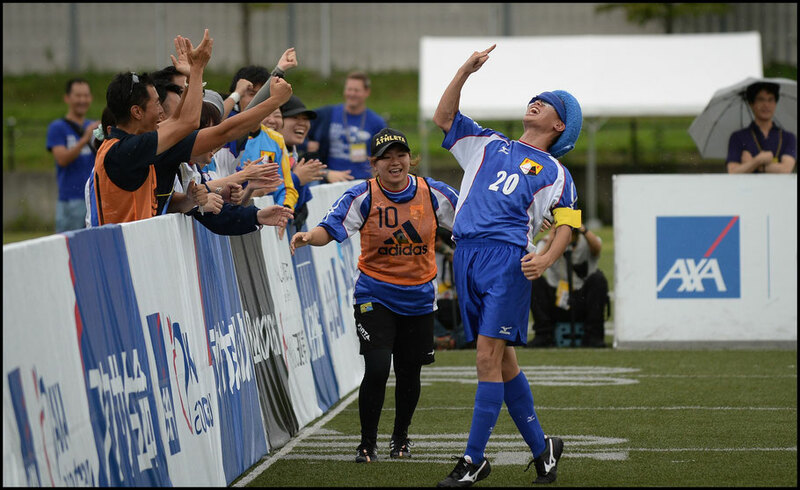 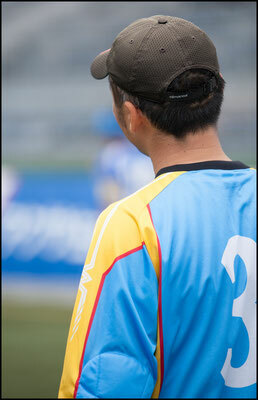 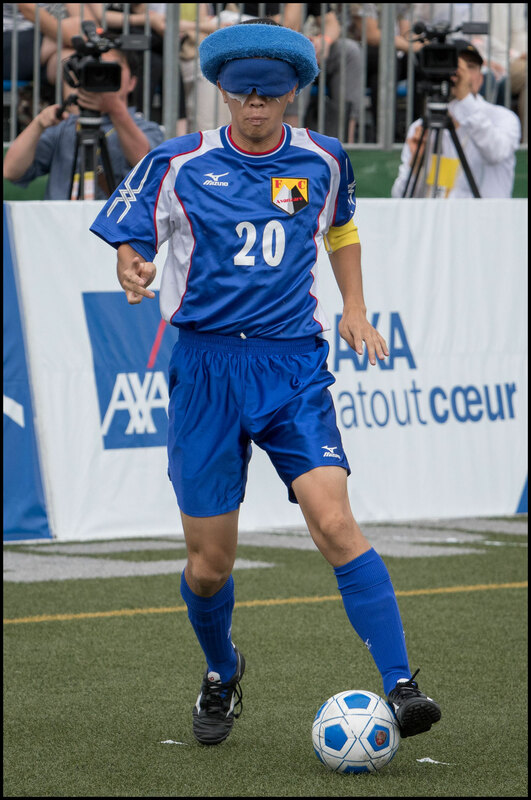 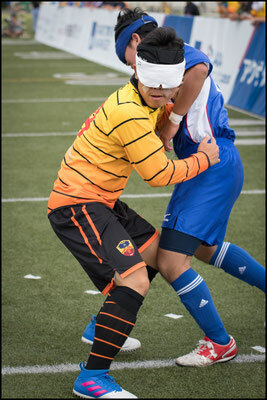 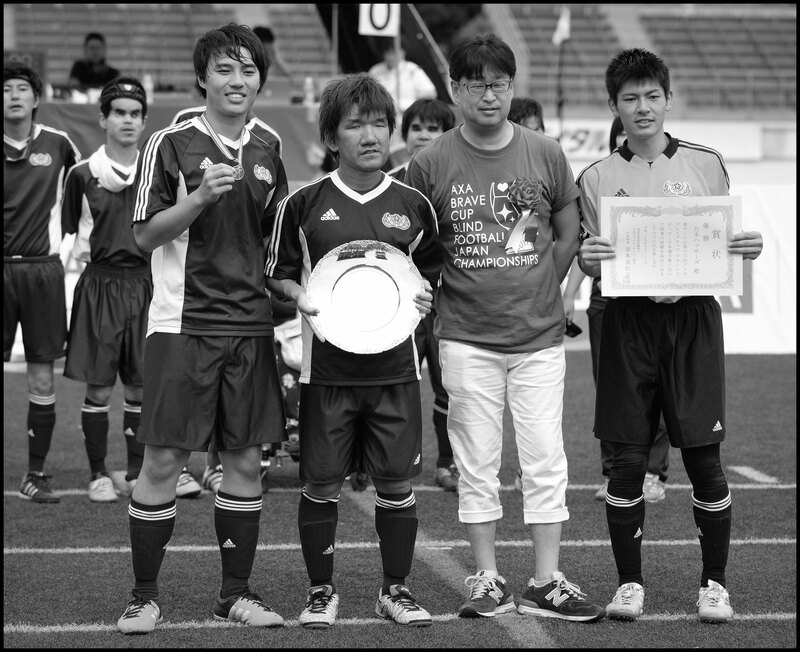 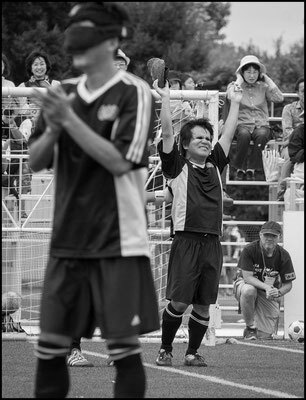 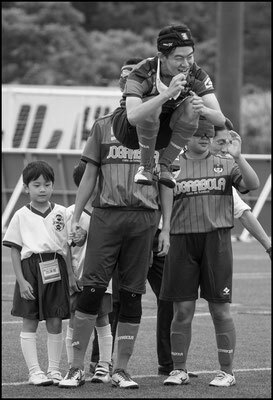 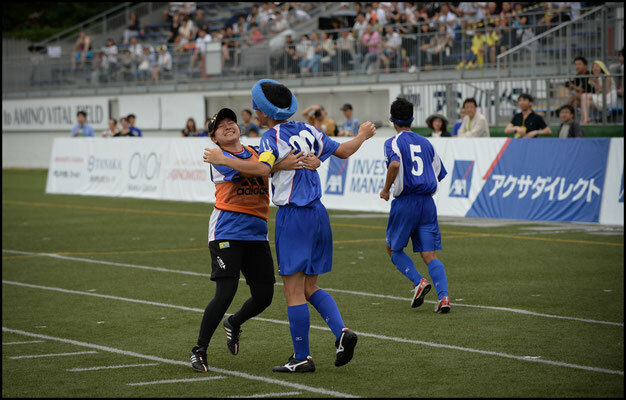 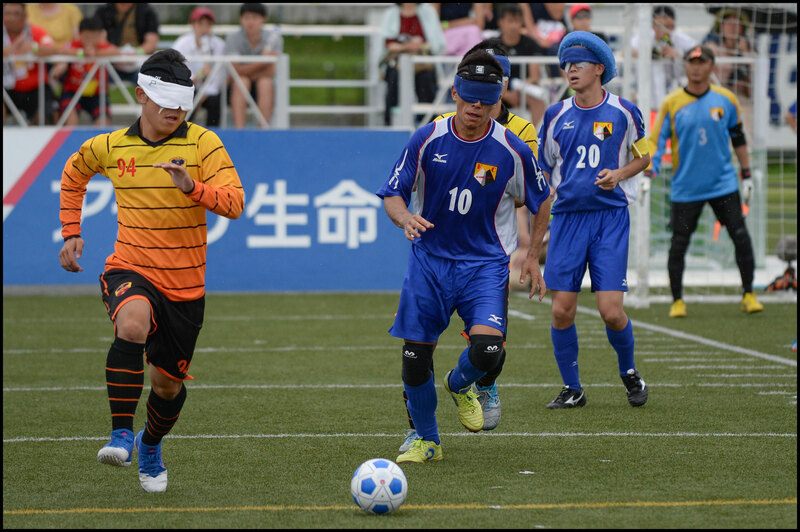 Roughly one year after Japan’s national blind soccer team made their 2002 debut, the inaugural Brave Cup was held with four clubs. In this year’s 16th edition, that number has expanded to 19, demonstrating the successful efforts of the JBFA to increase participation in the sport across the country. 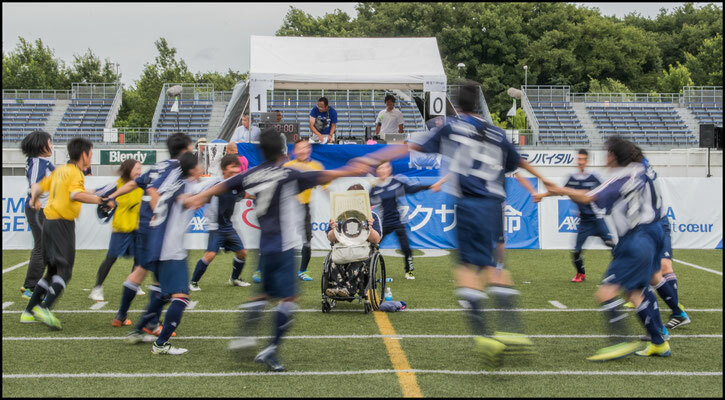 In addition to mobilizing 103 volunteers, organizers sold over 500 tickets for the event - a rare occurrence in adaptive sports and a promising sign just three years ahead of the 2020 Tokyo Paralympics. 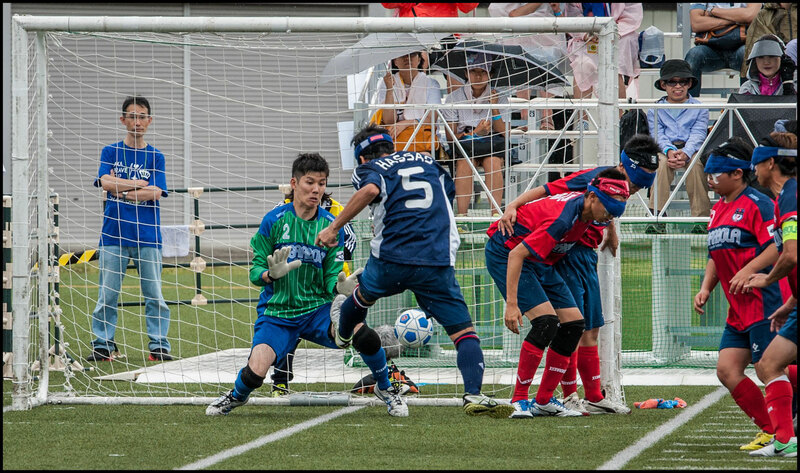 The third-place match between Avanzare Tsukuba and Buen Cambio Yokohama was a rematch of last year’s final, with the Ibaraki side finishing on top 1-0 thanks to a picture-perfect looping shot by Tsubasa Morita in the closing minutes of the second half. 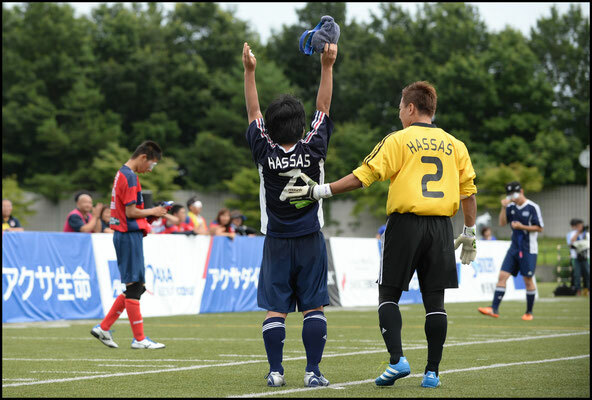 But it was the final, between Saitama T.Wings and Tama Hassas, that provided the most compelling storyline in the form of T.Wings player Sora Kikushima. 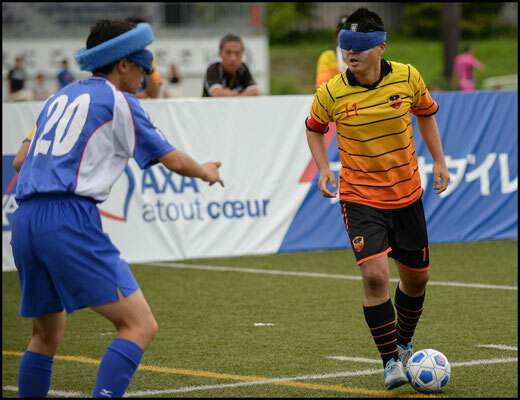 The 15-year-old junior high student has garnered international attention, scoring six goals in four matches for Japan in their recent international debut, helping the team win the inaugural IBSA Women’s Blind Football Tournament. 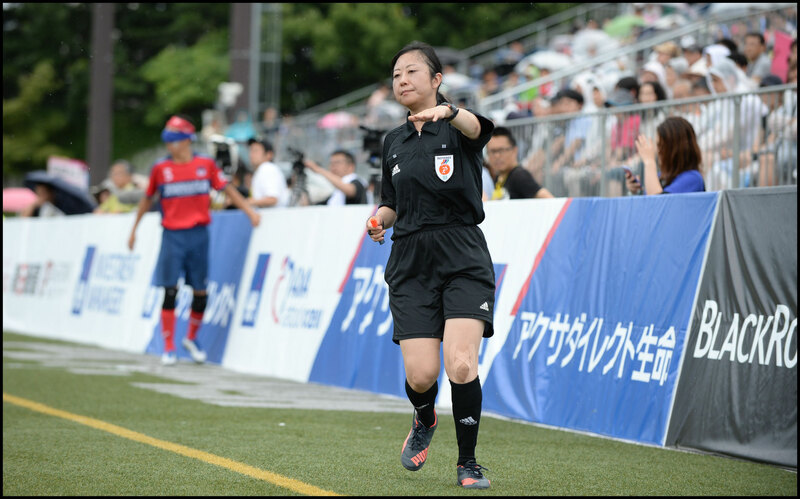 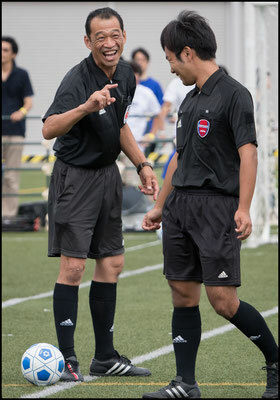 Standing across the pitch from Kikushima was her mentor and national team veteran Tomonari Kuroda. 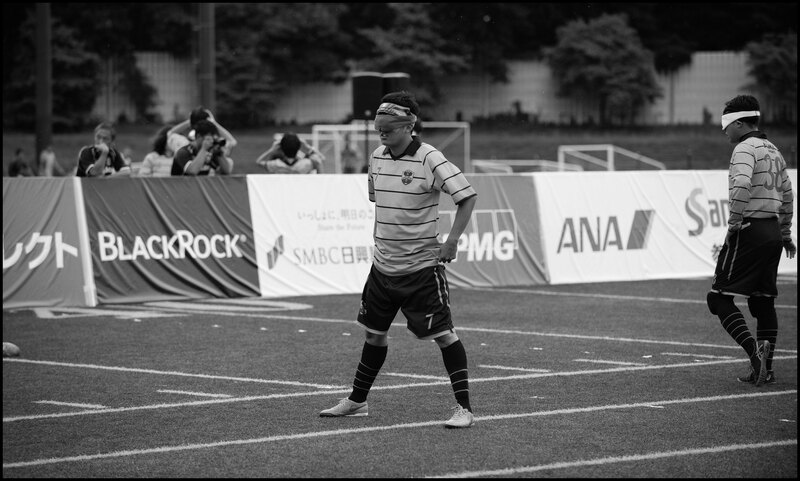 The matchup between master and apprentice did not disappoint, and the junior high schooler drew gasps from the crowd with her deft first touch, powerful shooting, and incredible persistence despite being involved in some of the hardest collisions in the match. 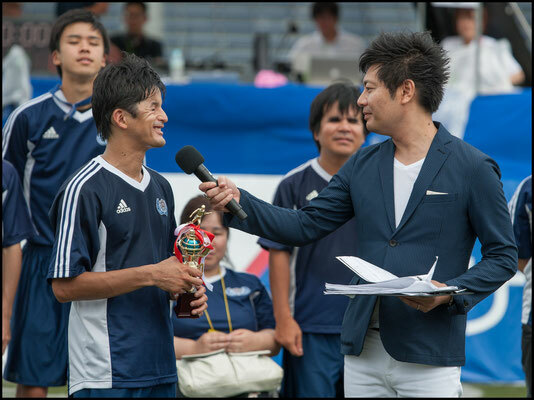 MVP honors however deservedly went to the wily 38-year-old, who found the game-winner with his left foot in the first half. 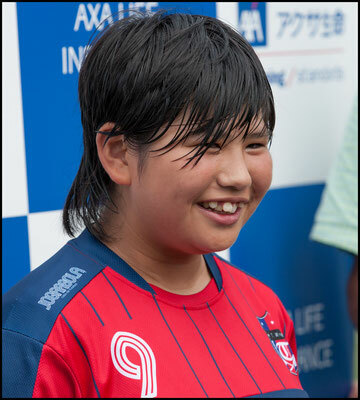 For her part, Kikushima seemed comfortable surrounded by television cameras, a scene reminiscent of the hype surrounding Takefusa Kubo, the former Barcelona academy trainee who is expected to play a starring role for Japan’s men’s team at the Summer Olympics. 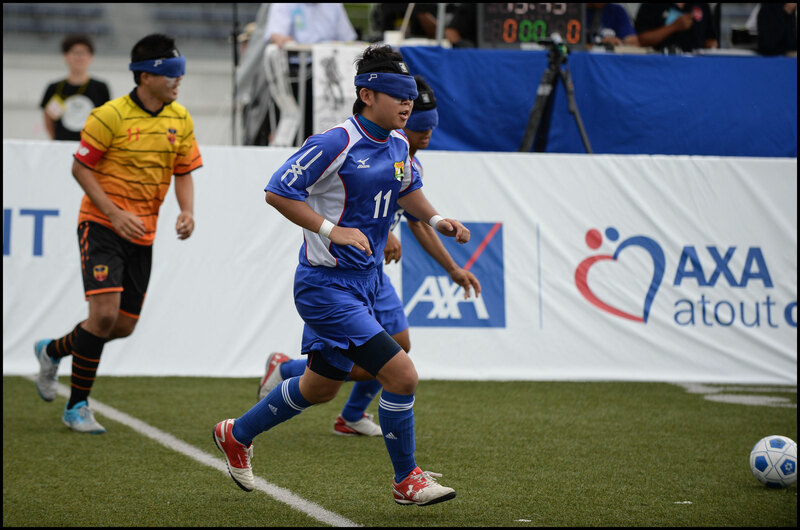 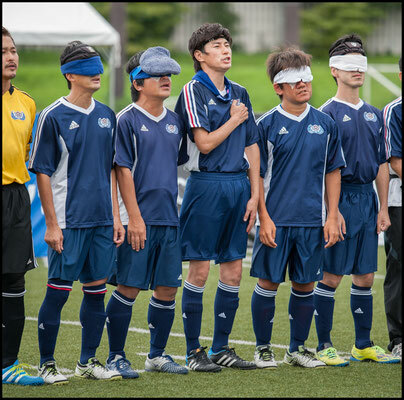 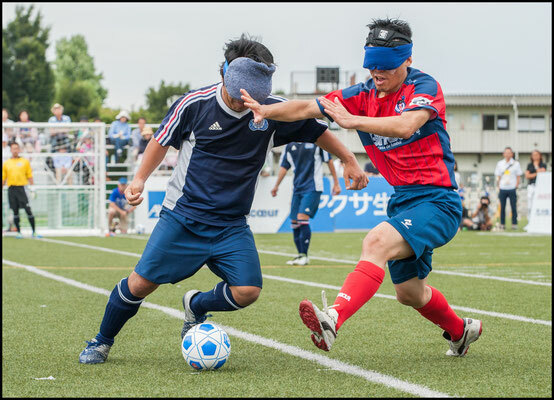 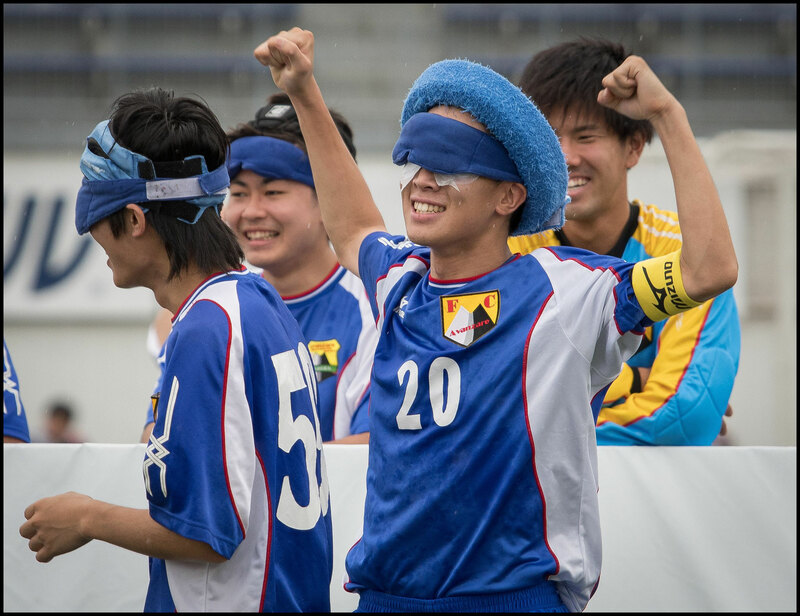 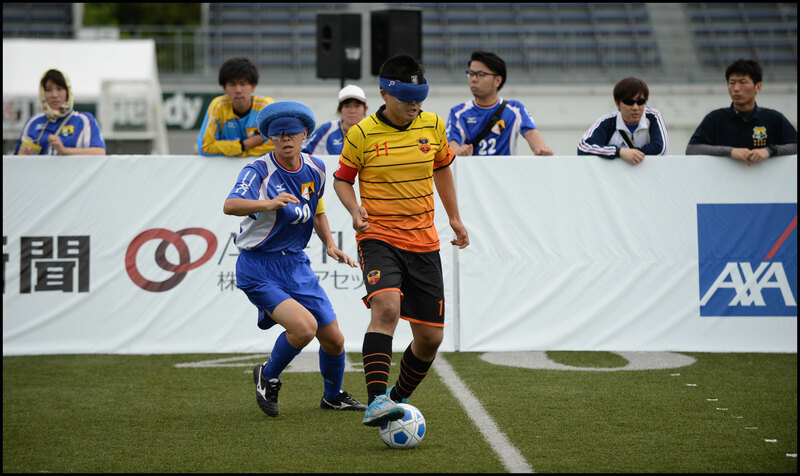 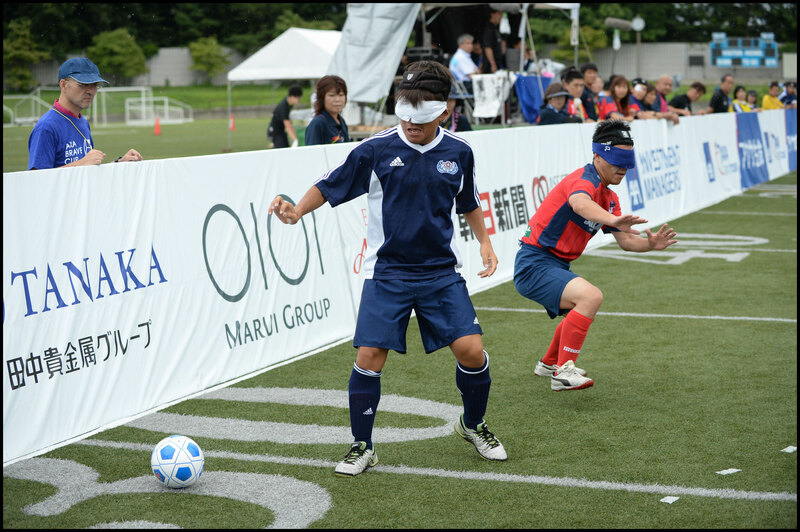 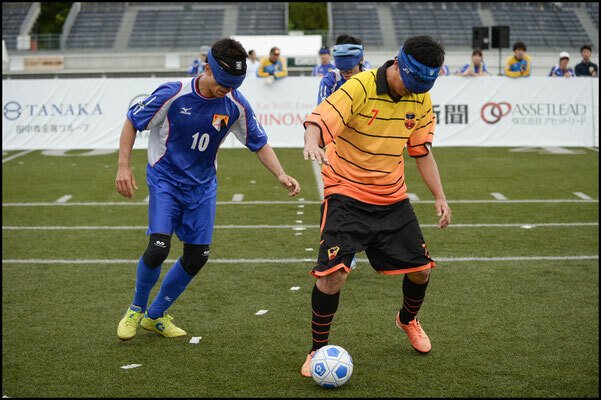 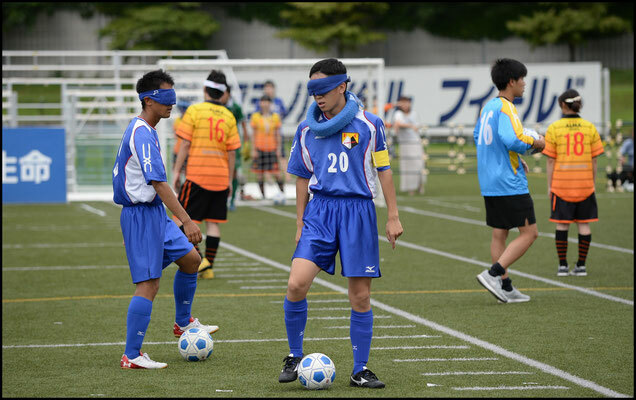 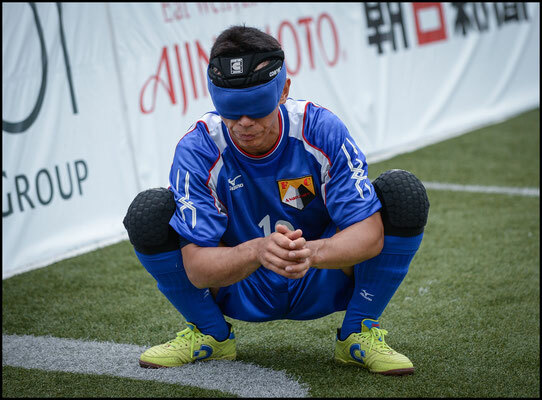 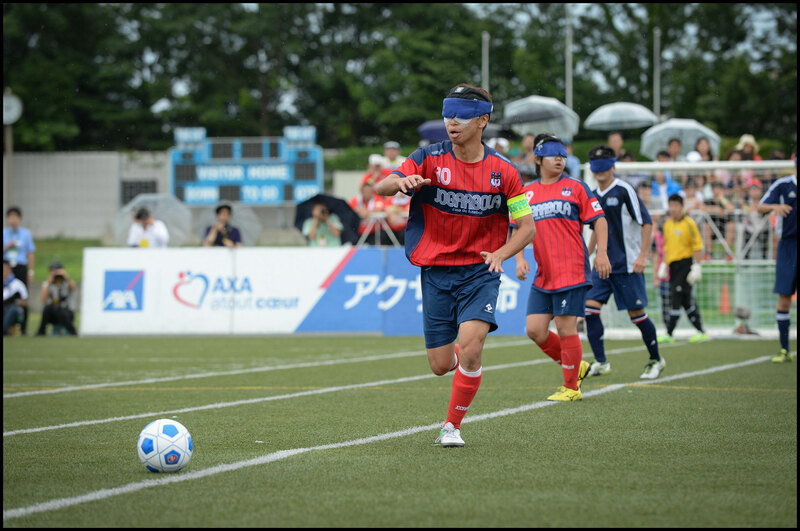 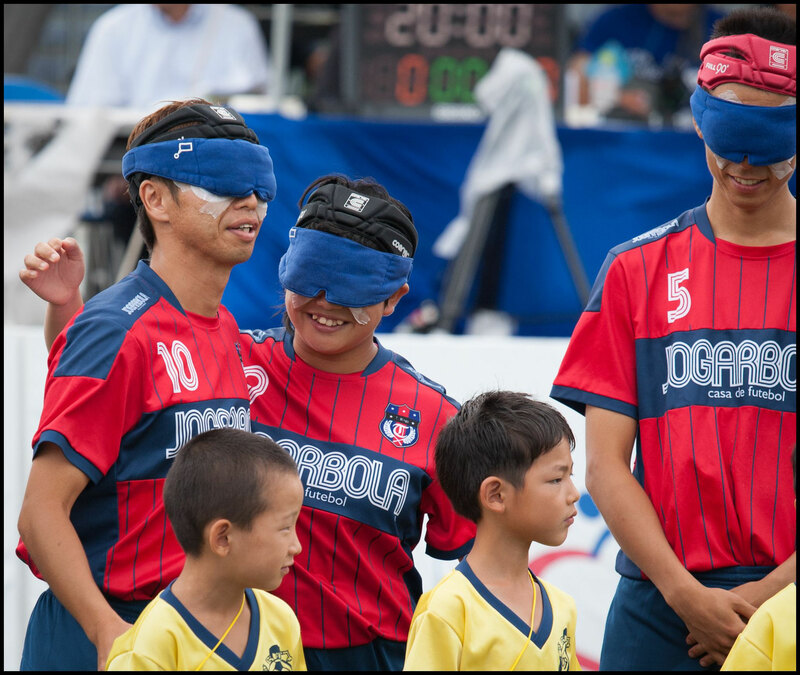 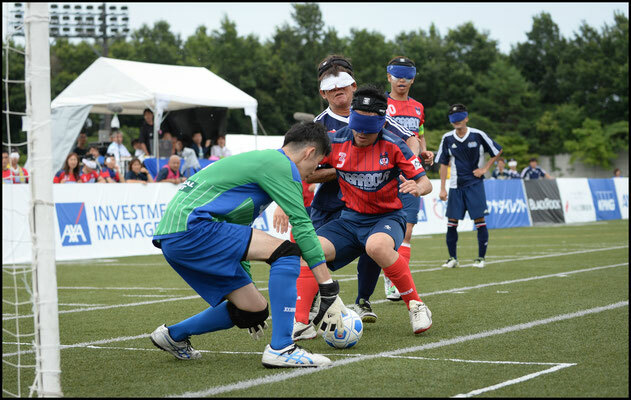 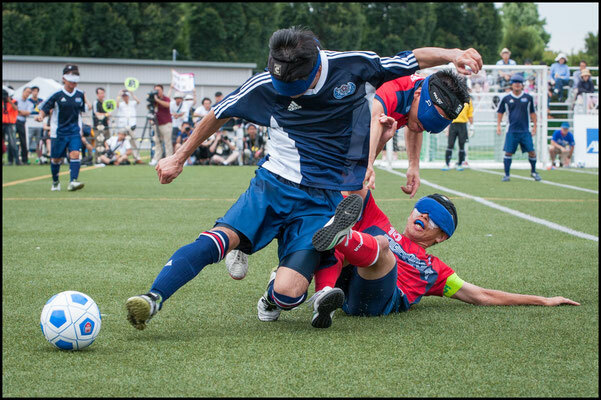 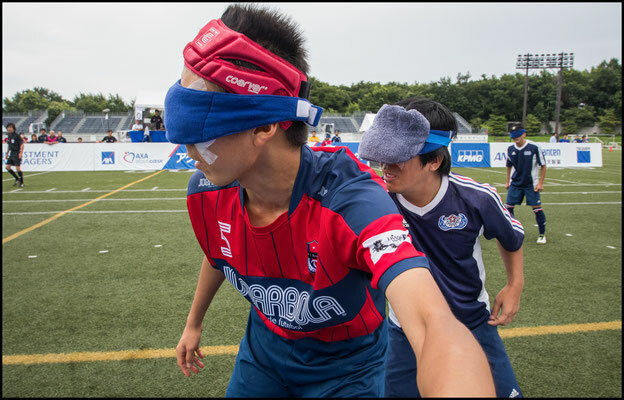 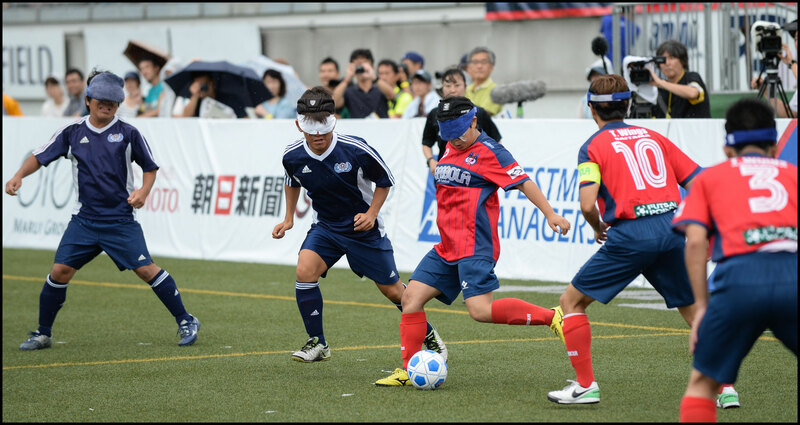 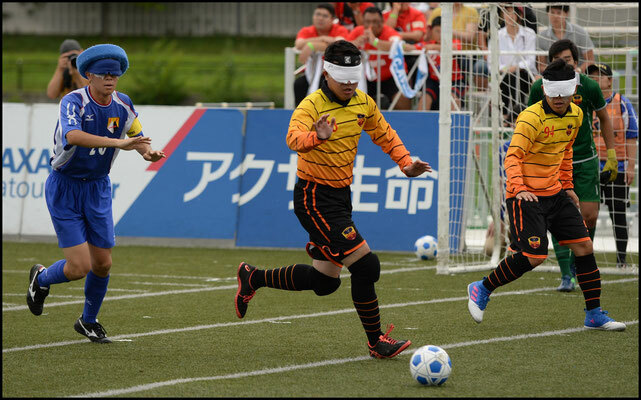 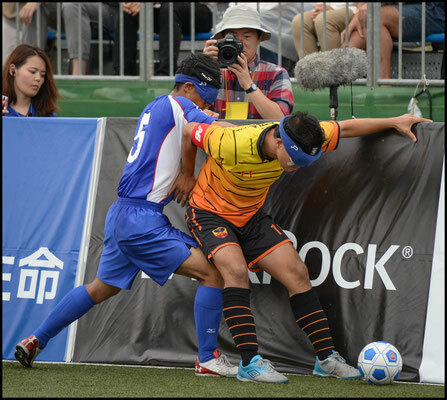 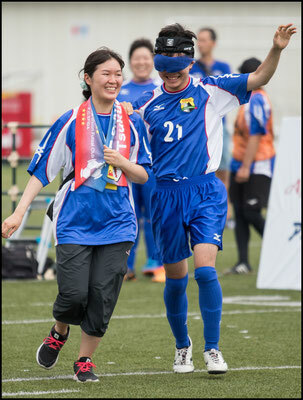 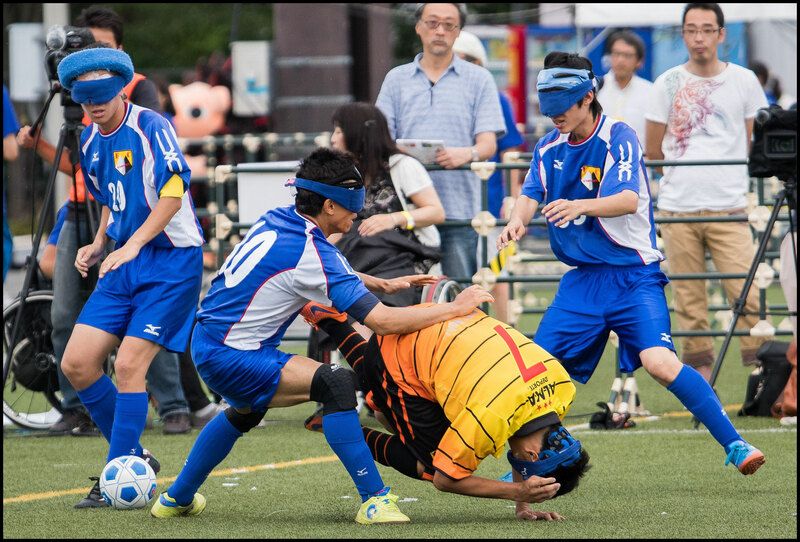 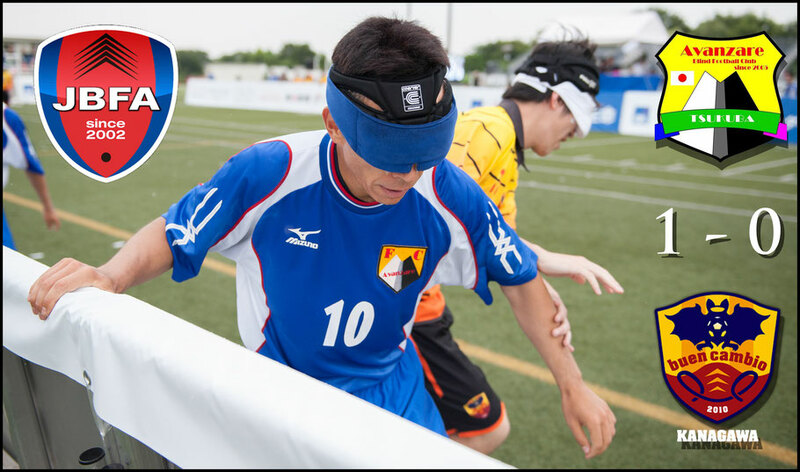 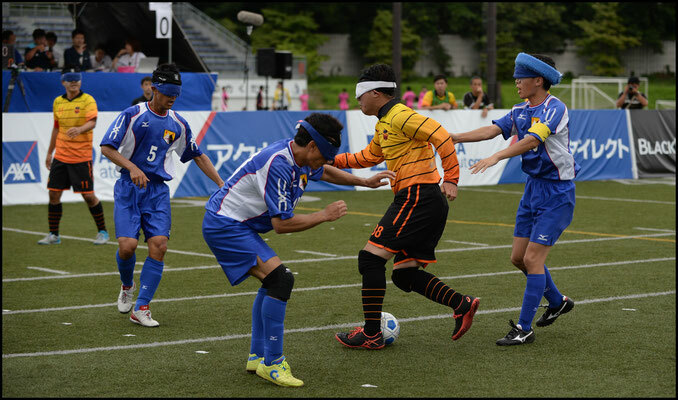 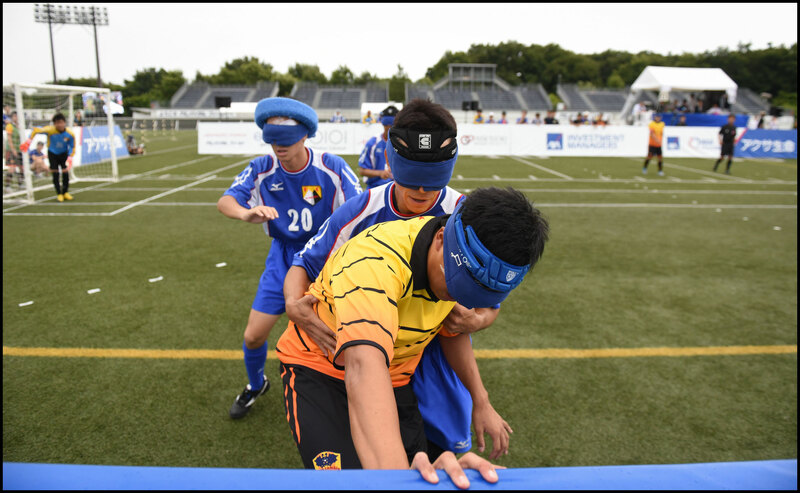 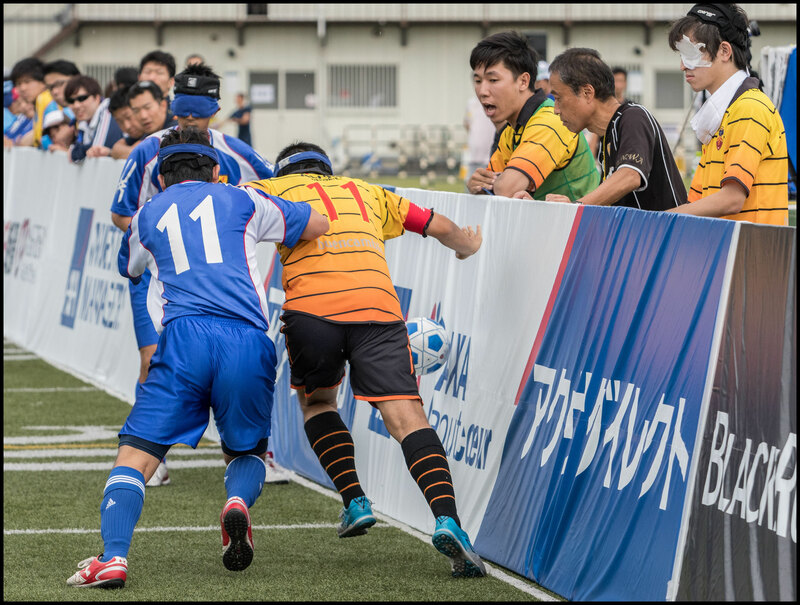 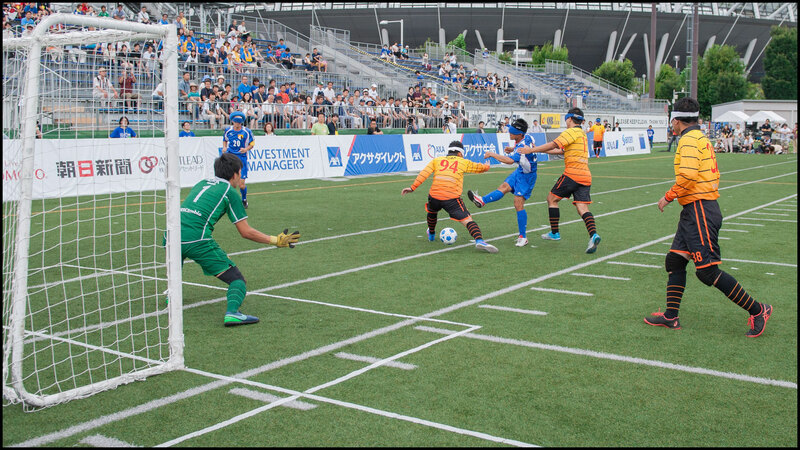 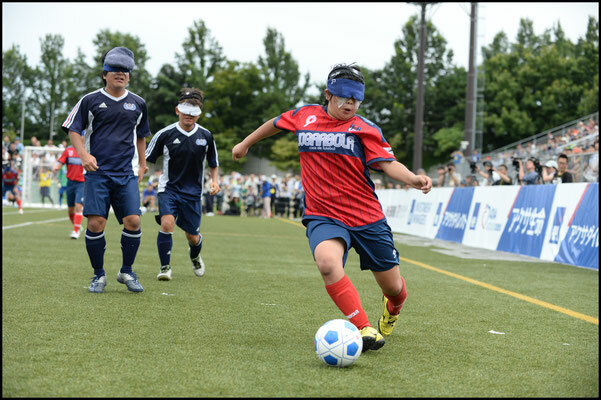 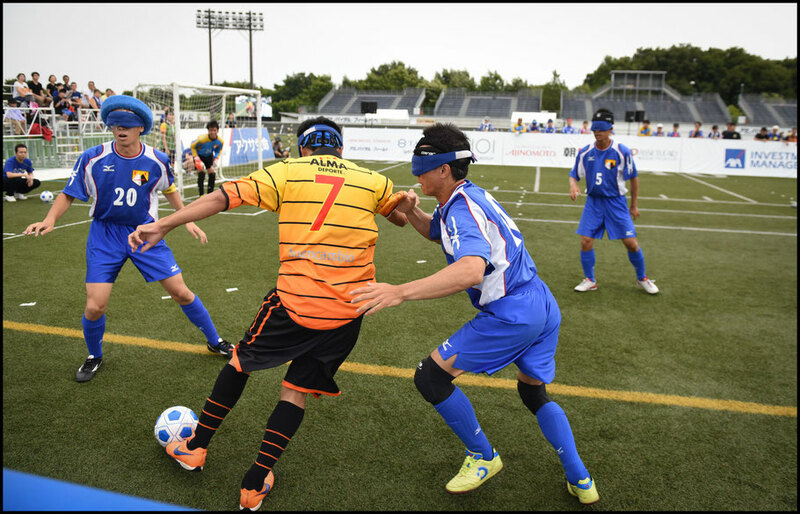 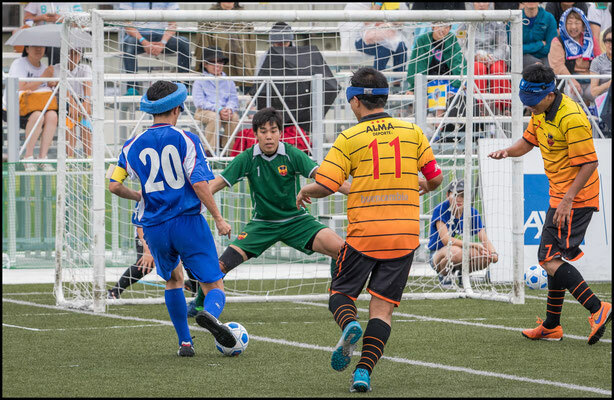 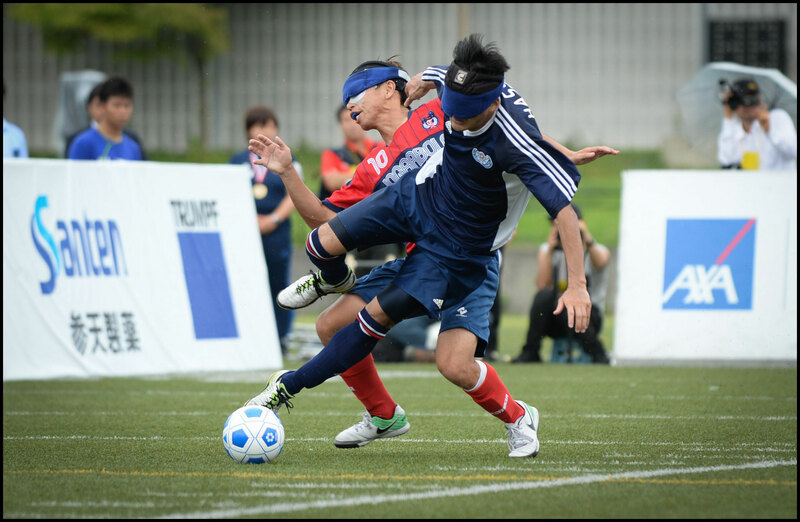 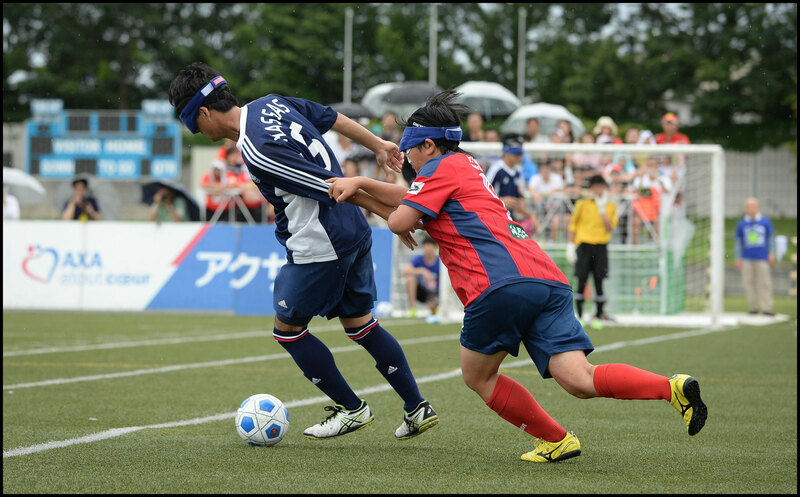 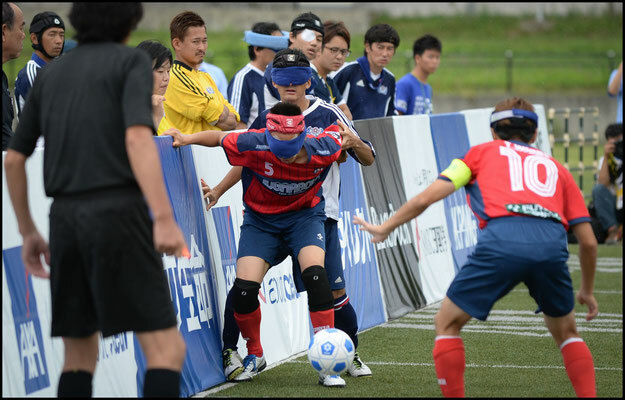 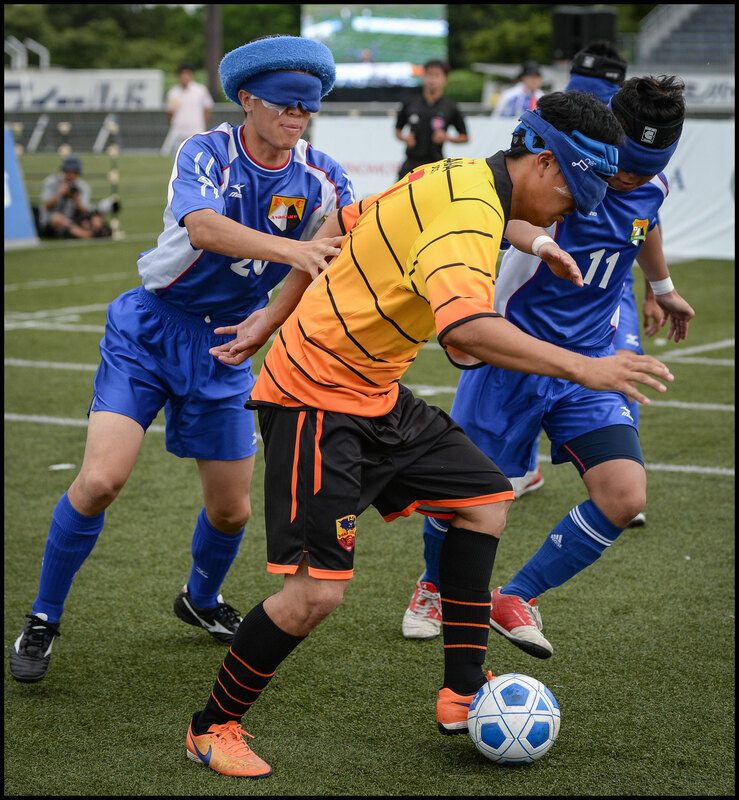 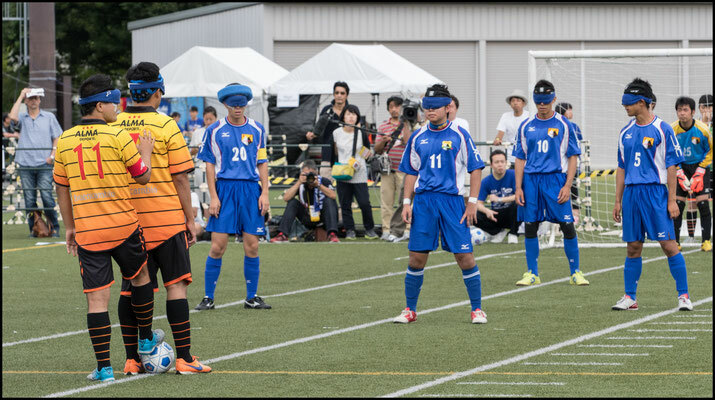 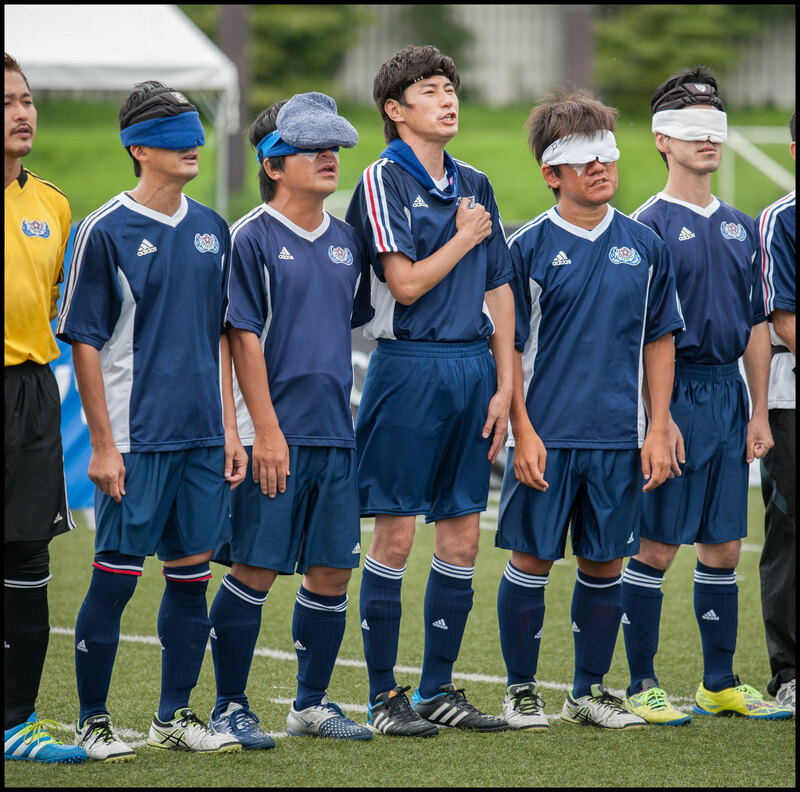 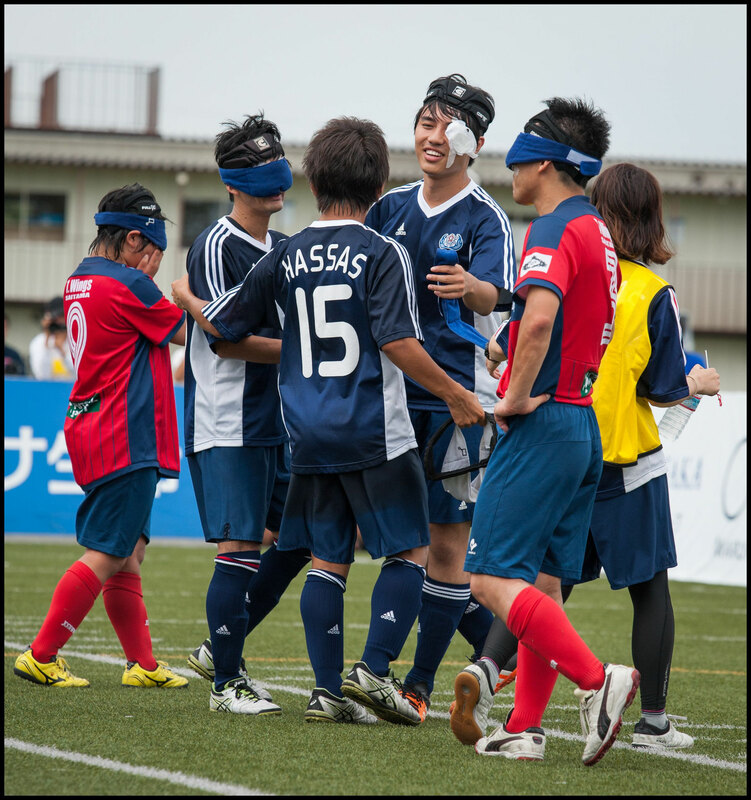 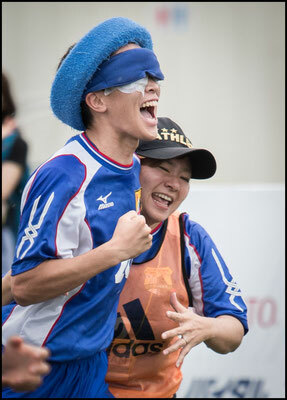 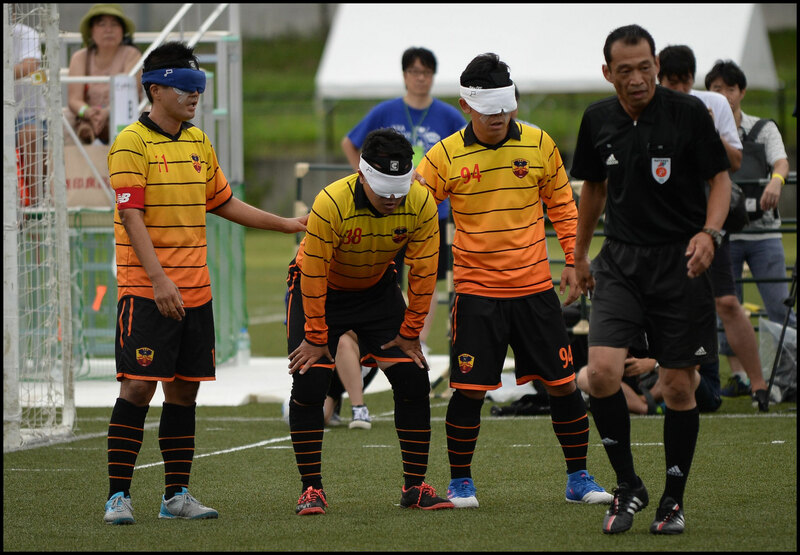 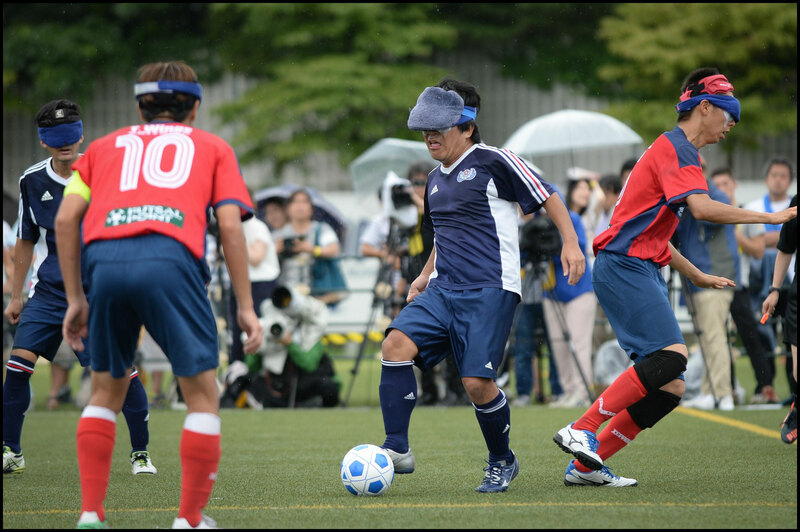 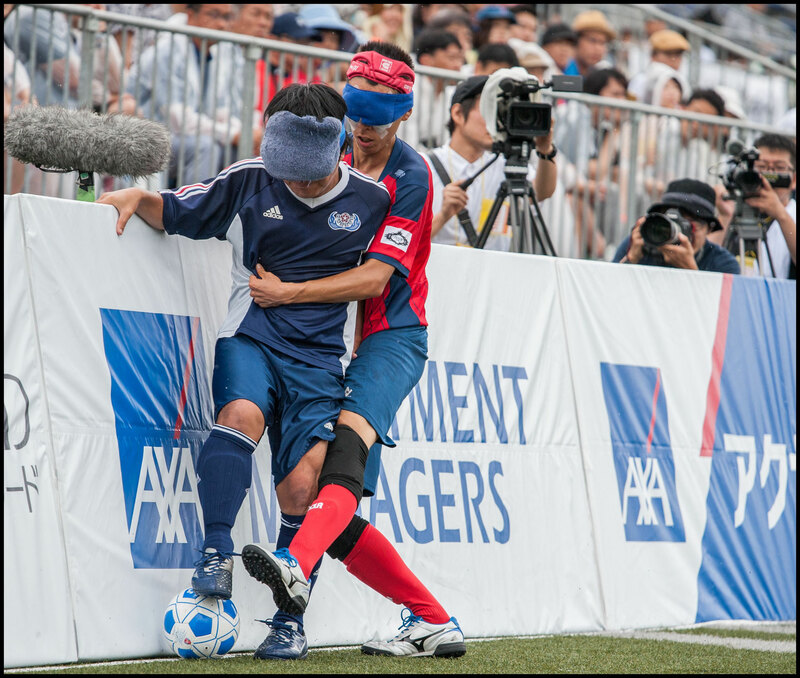 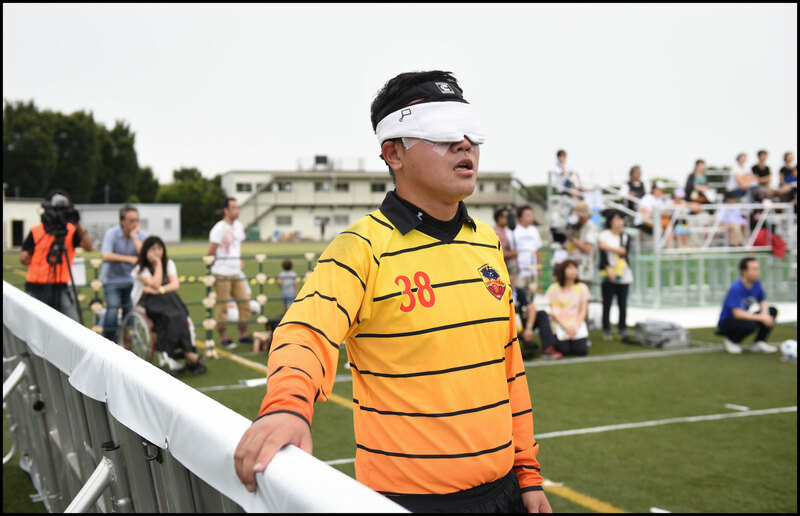 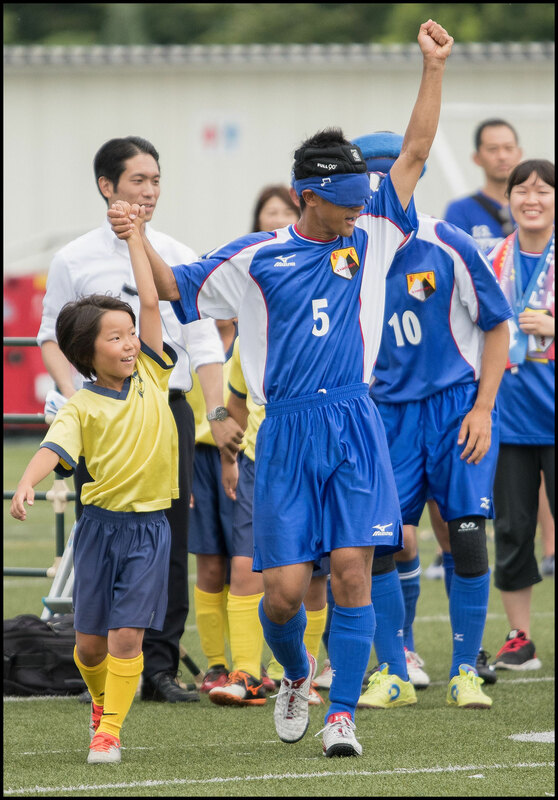 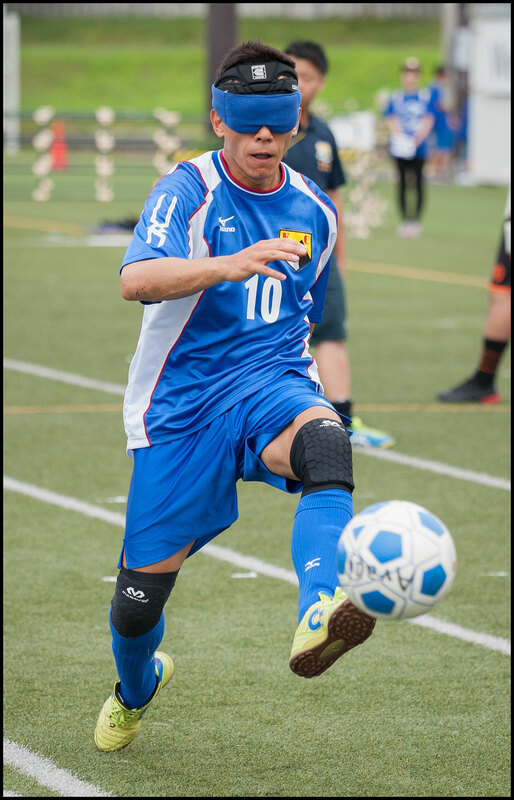 The Tokyo Games will mark Japan’s first participation in blind football at a Paralympic tournament, but the groundwork for a strong showing is already being laid through efforts such as the Brave Cup and a regular schedule of international friendlies and overseas training camps. 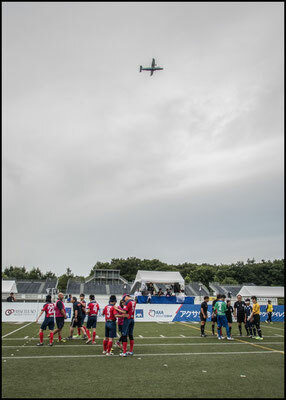 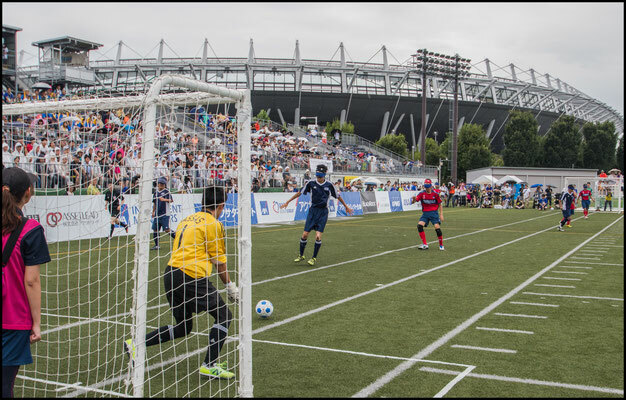 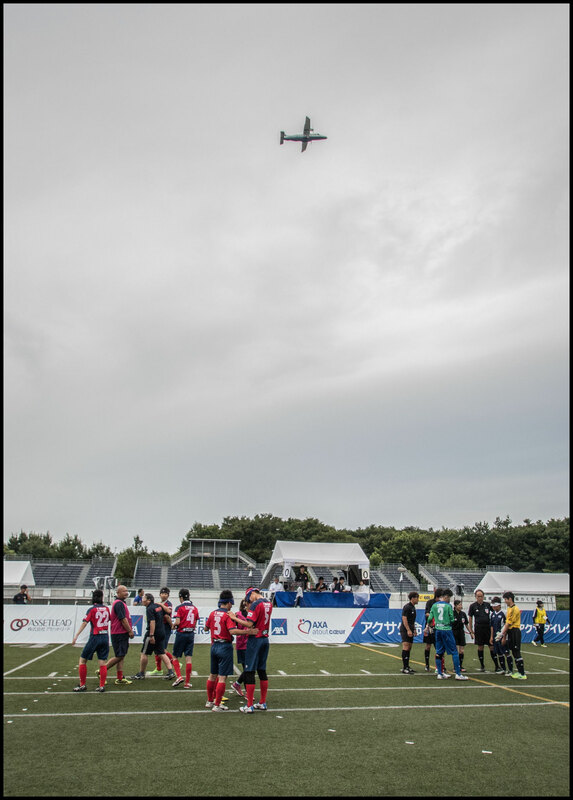 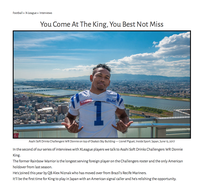 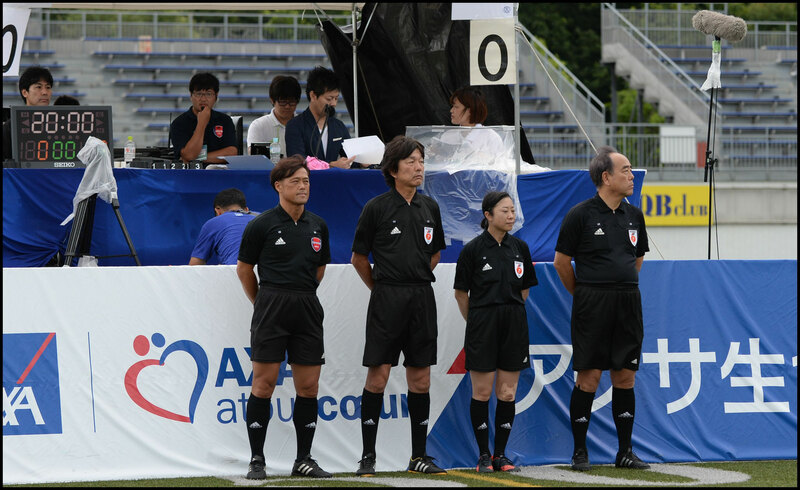 Crowds too have continued to grow, with thousands turning out daily for the 2014 IBSA World Football Championship in Tokyo, that marked the first time the tournament was held in Asia. 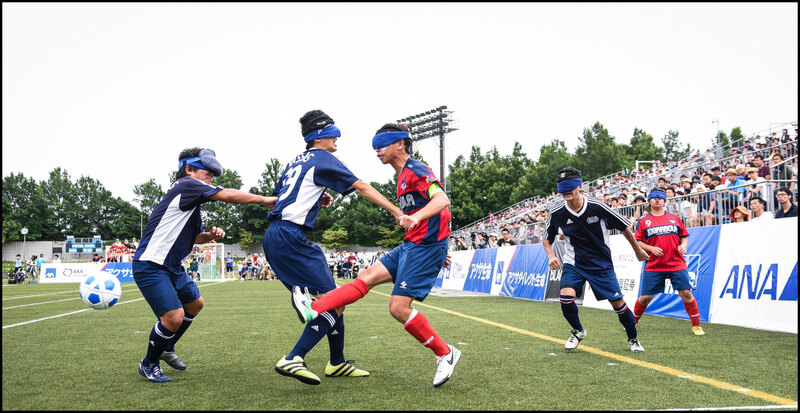 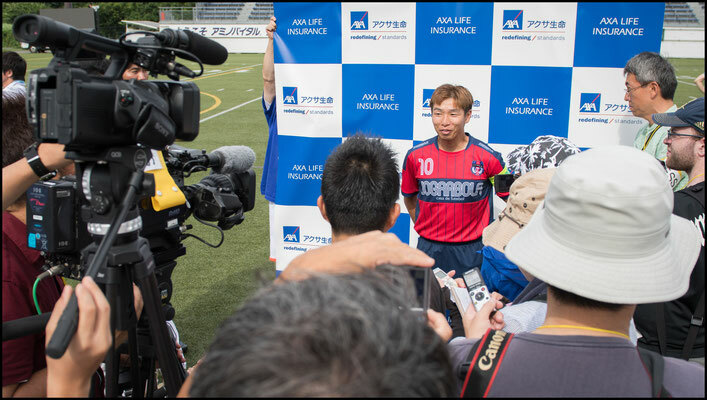 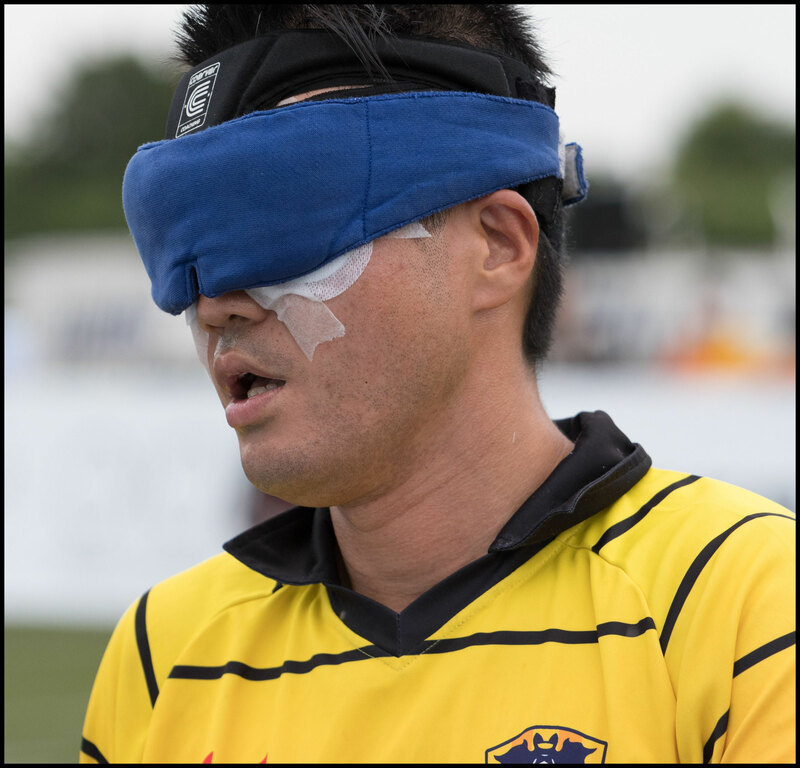 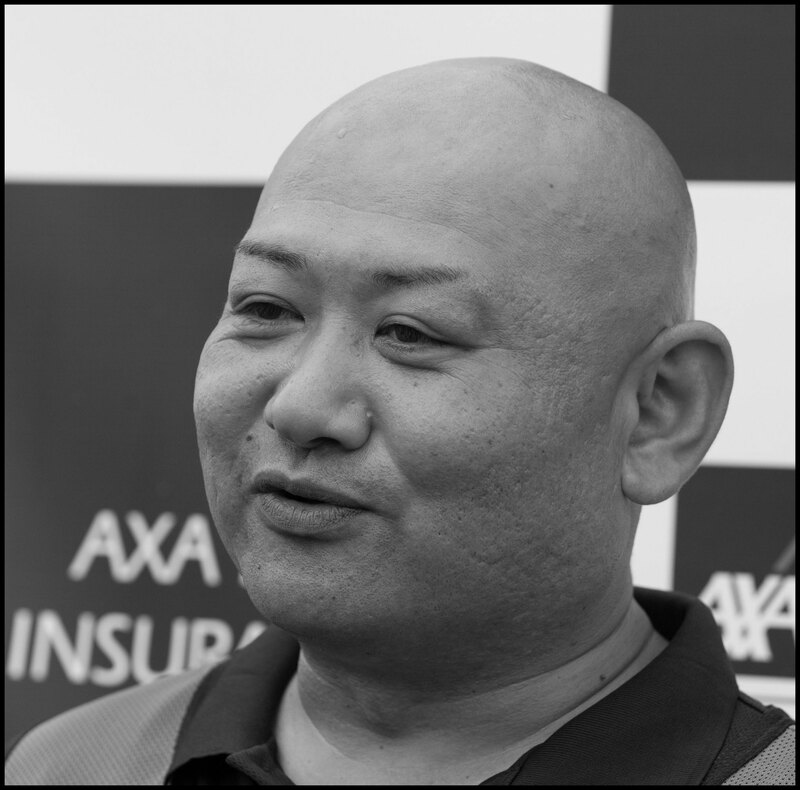 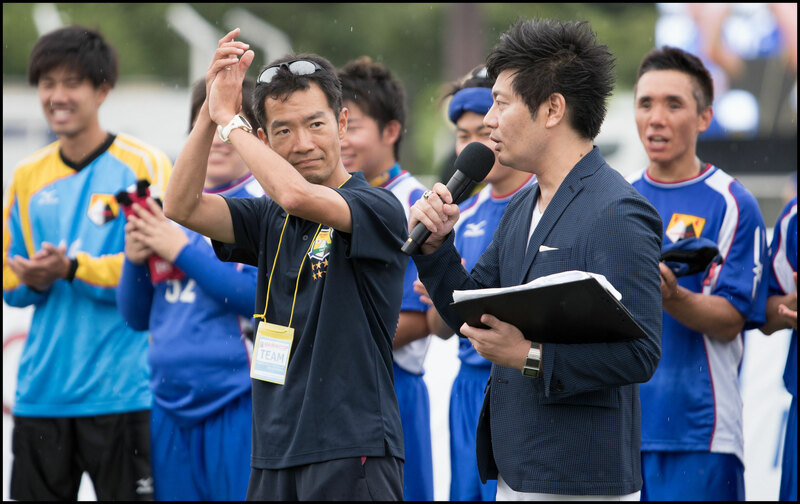 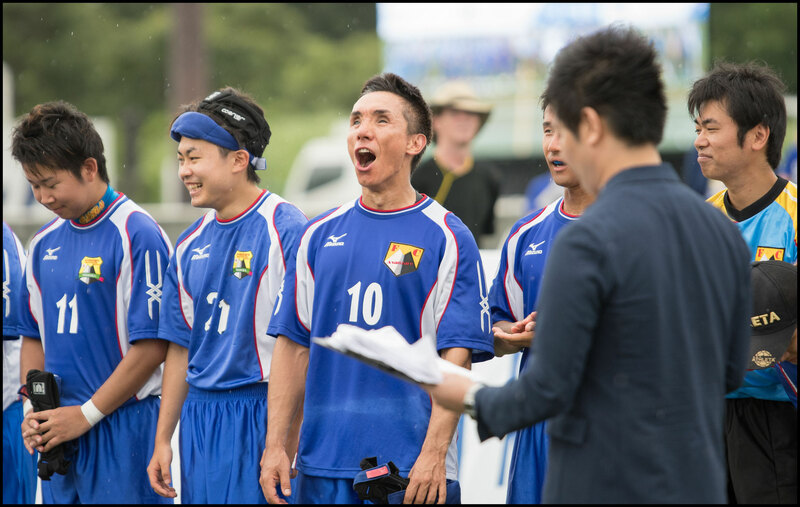 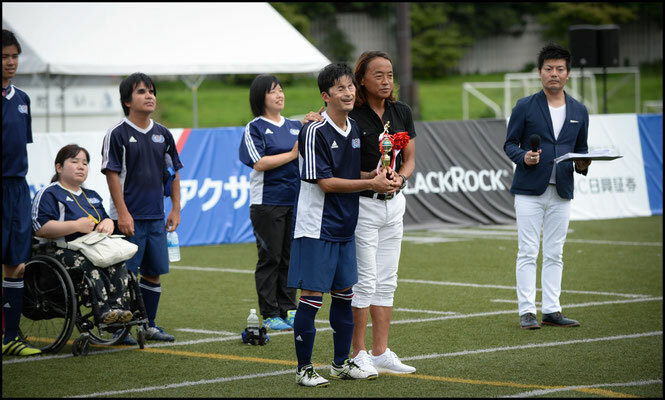 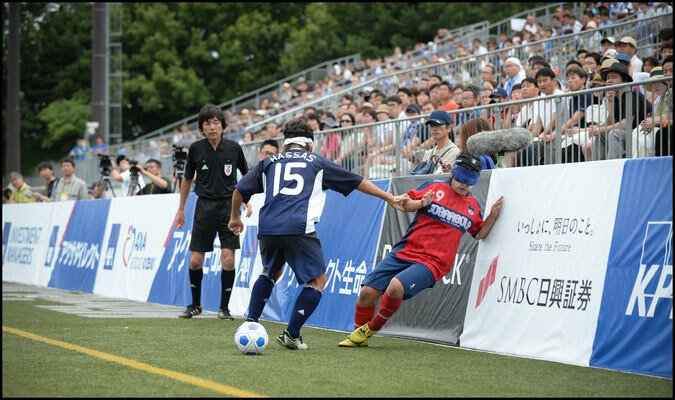 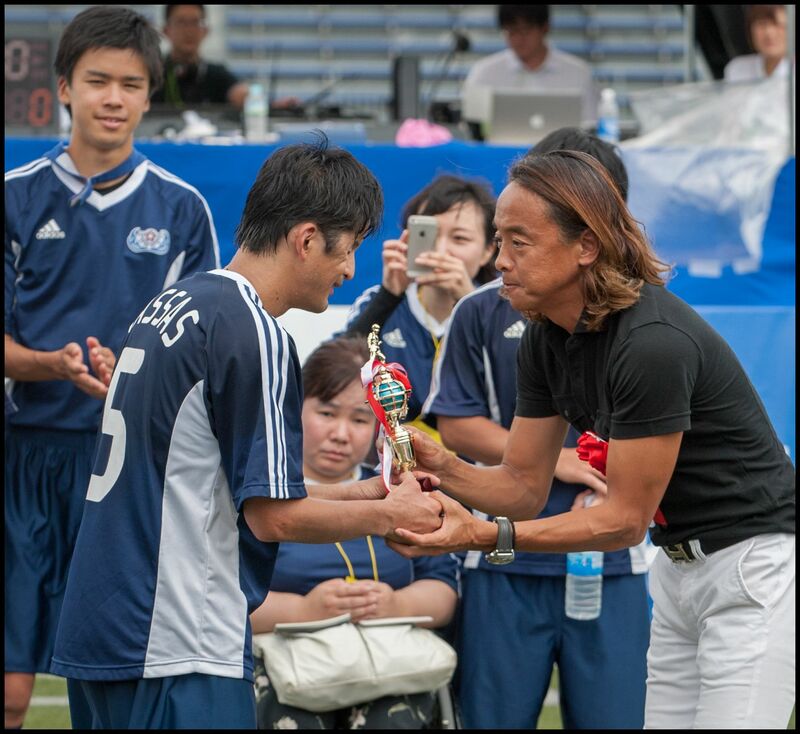 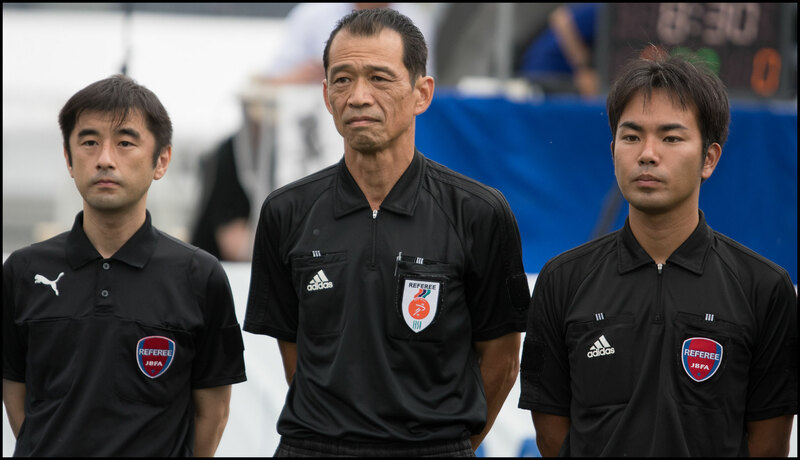 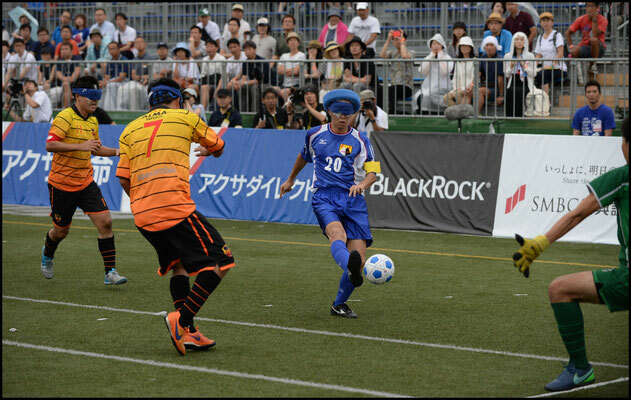 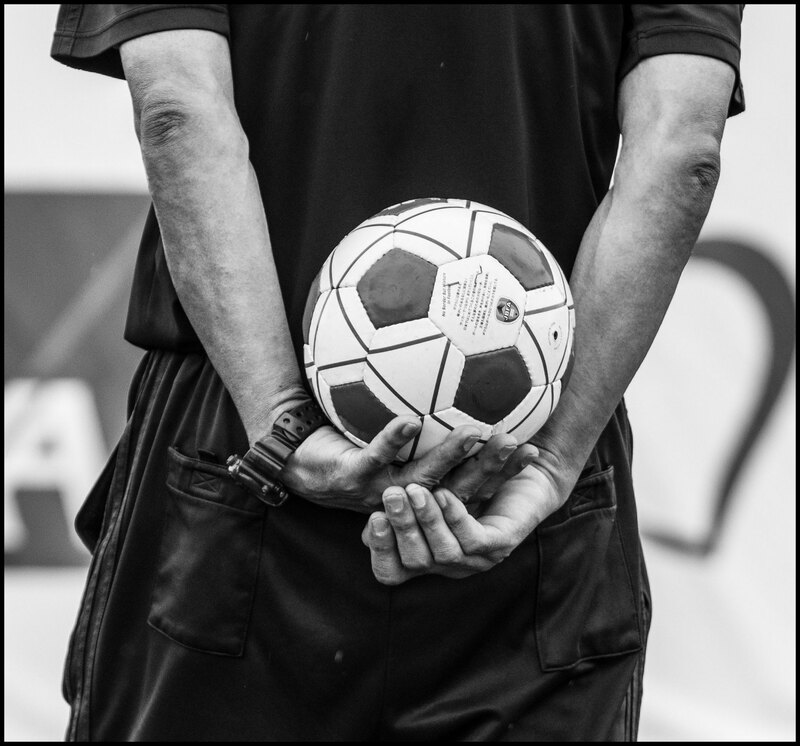 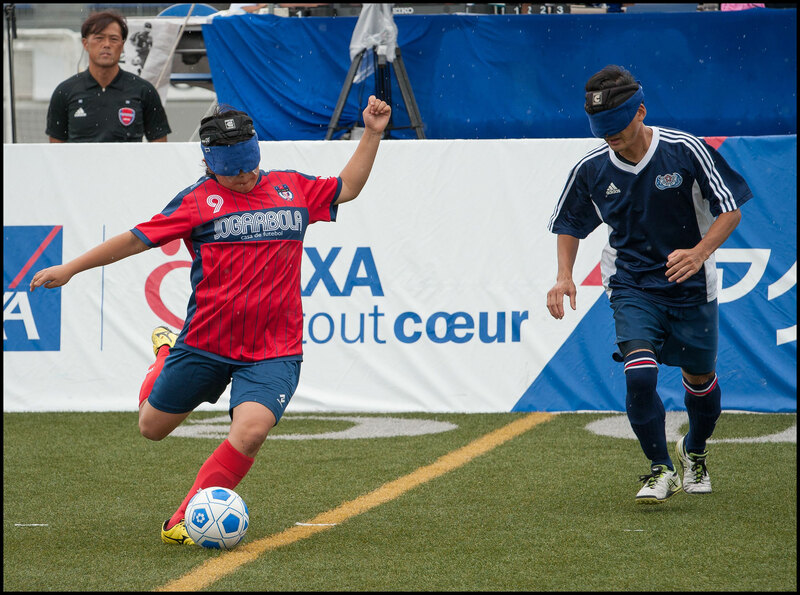 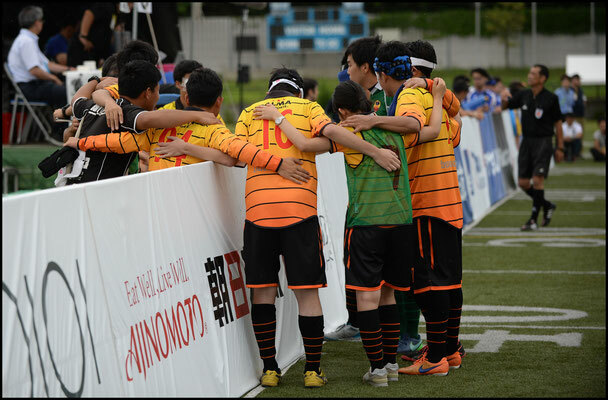 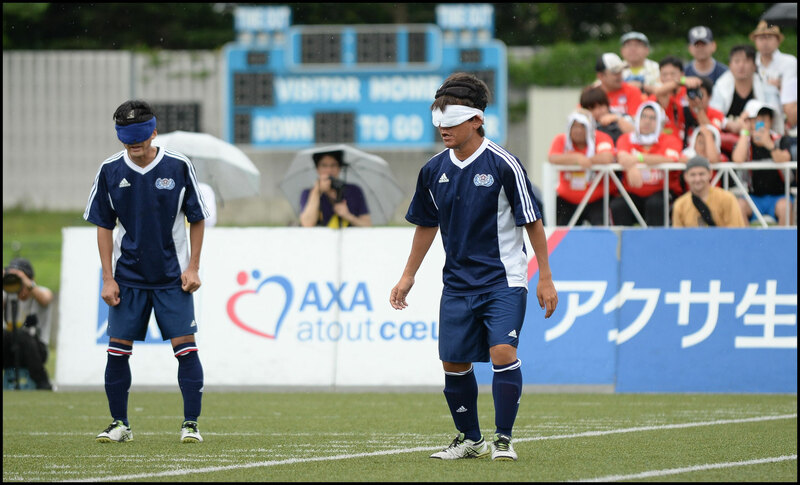 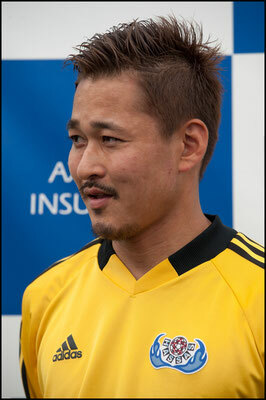 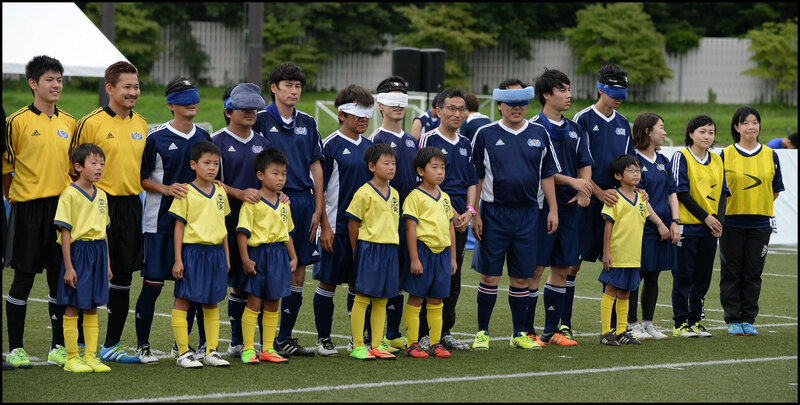 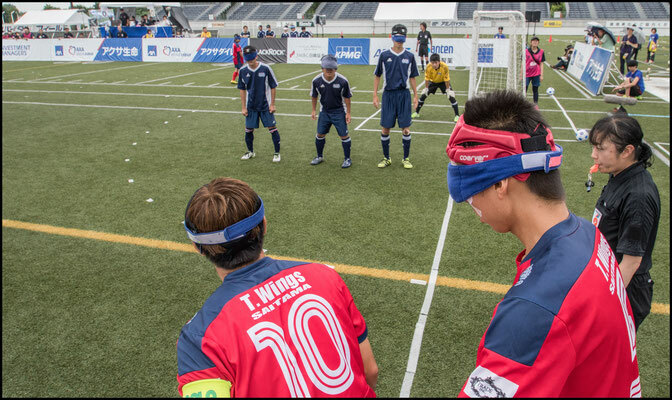 Boosted by the participation of notable figures such as former Samurai Blue star and current Japan Inclusive Football Federation chairman Tsuyoshi Kitazawa, the progress of blind soccer in Japan is a positive indication that a legacy of adaptive sports can take root here in 2020 and beyond.